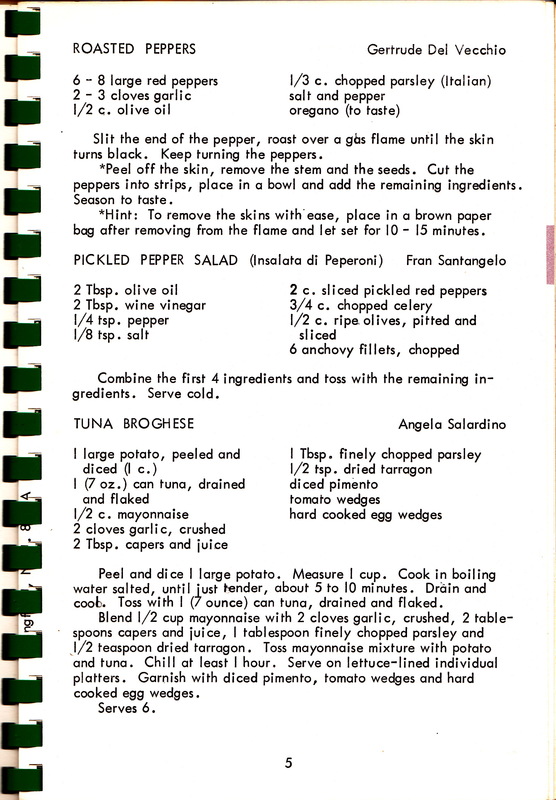 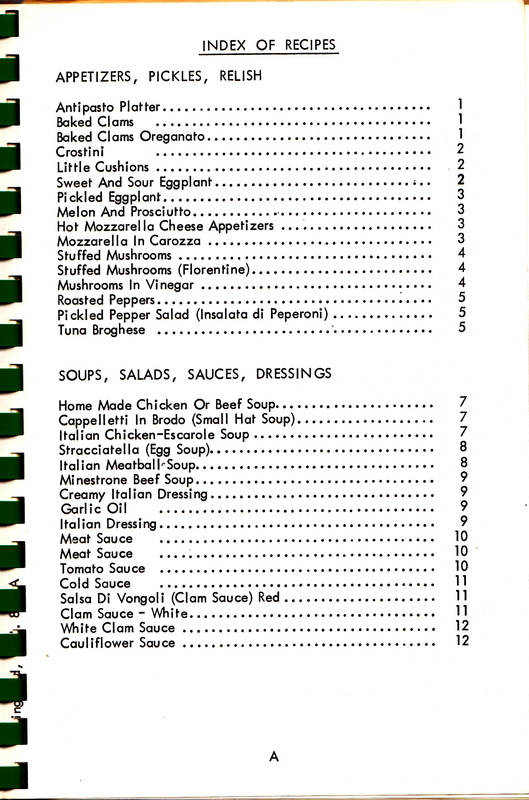 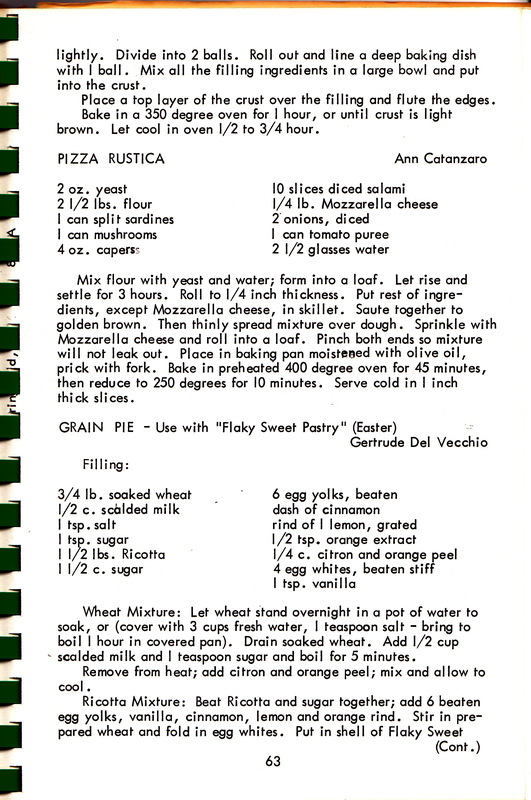 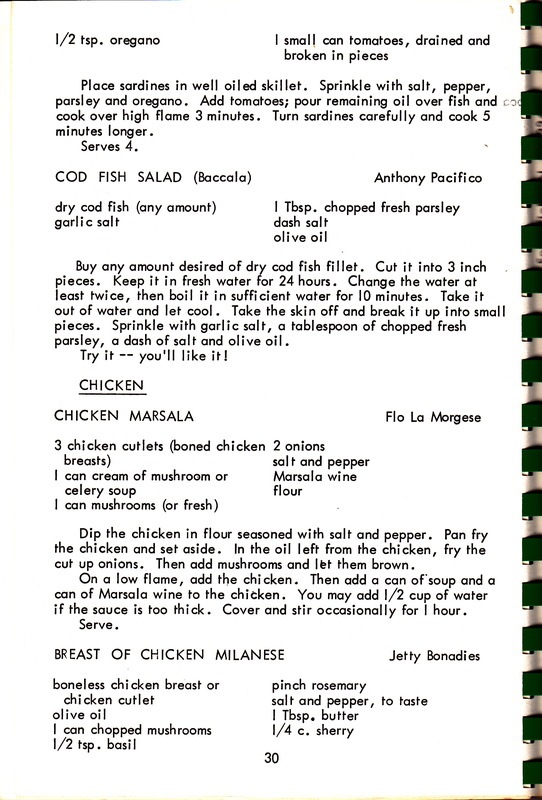 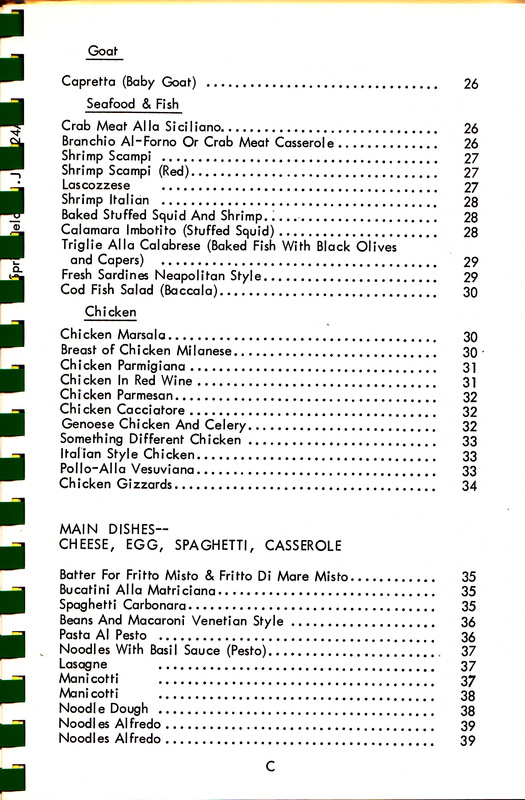 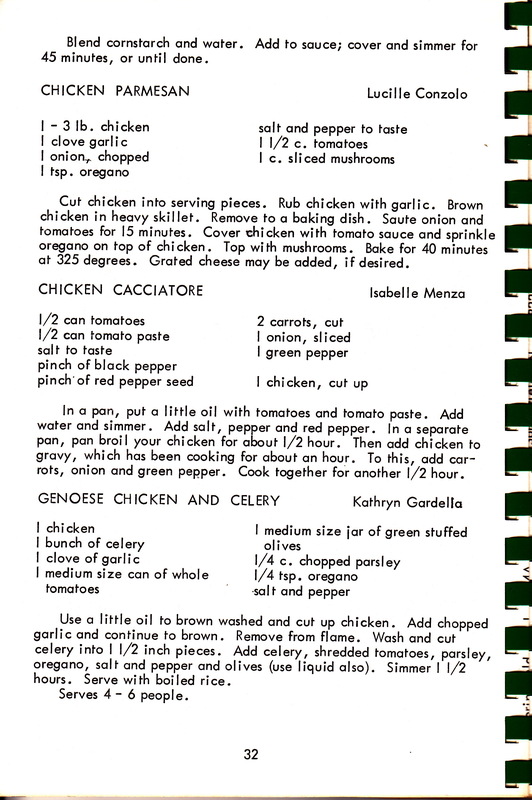 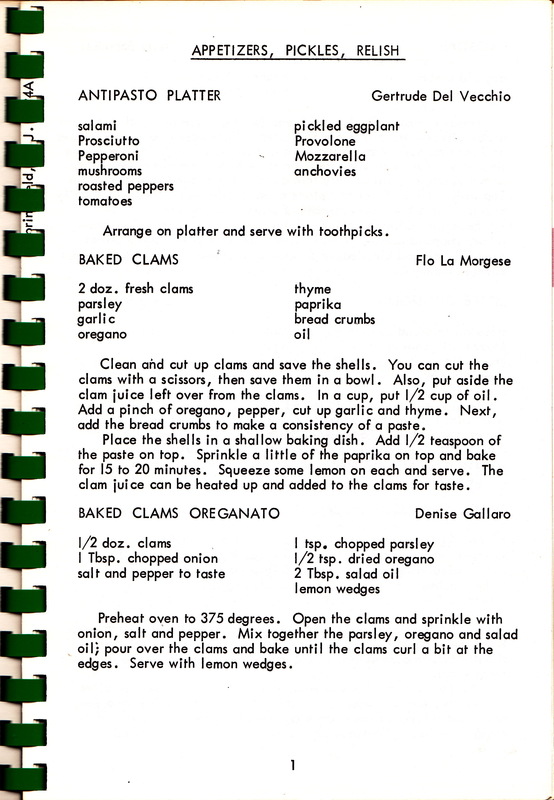 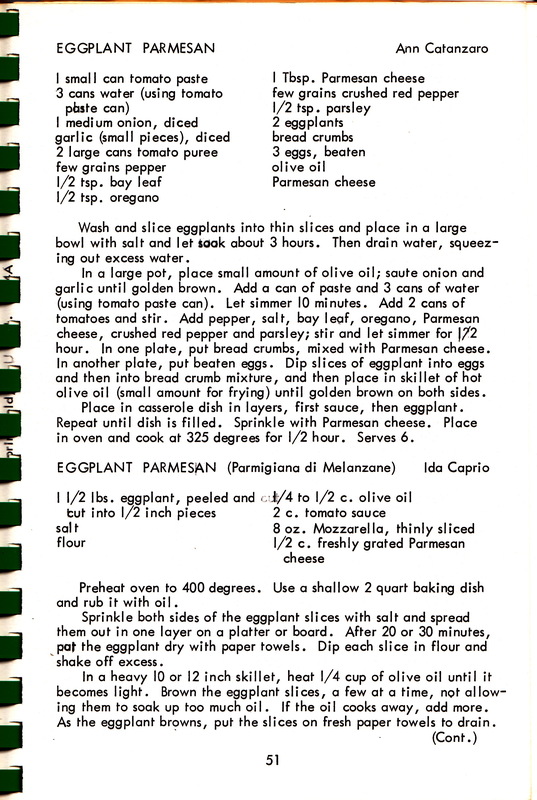 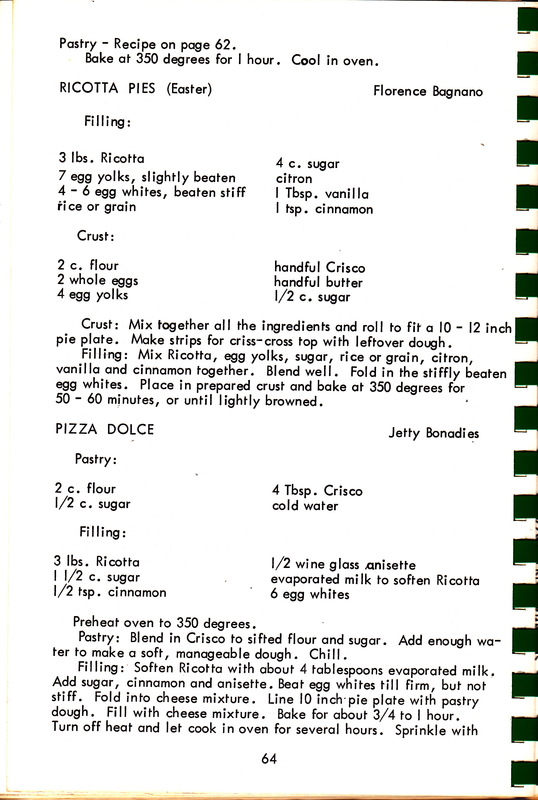 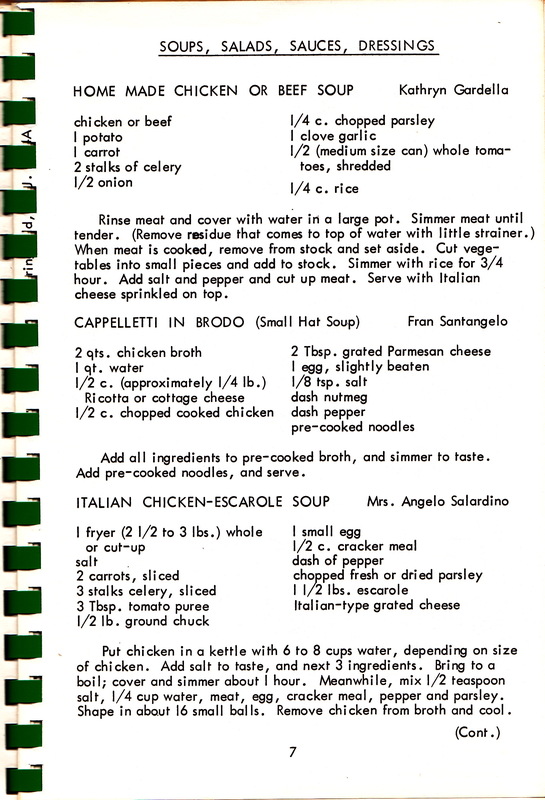 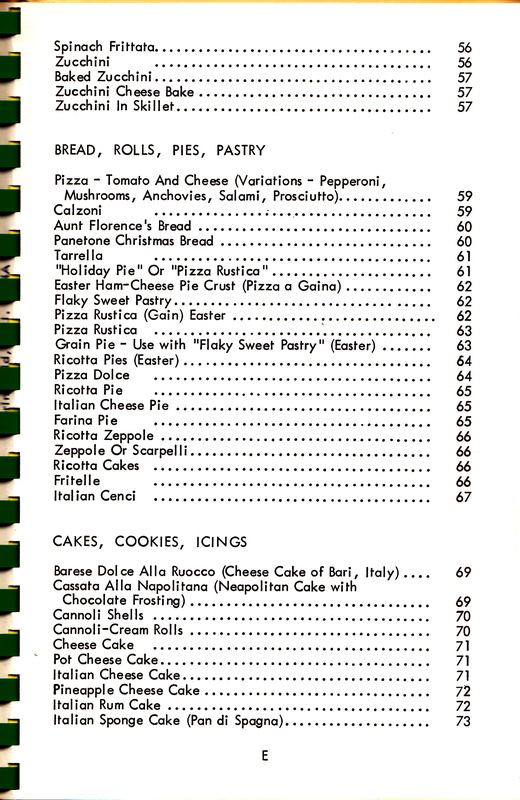 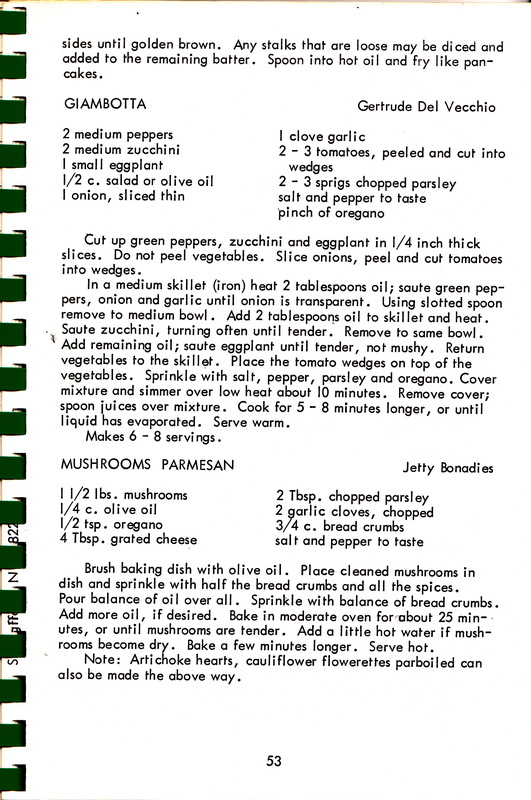 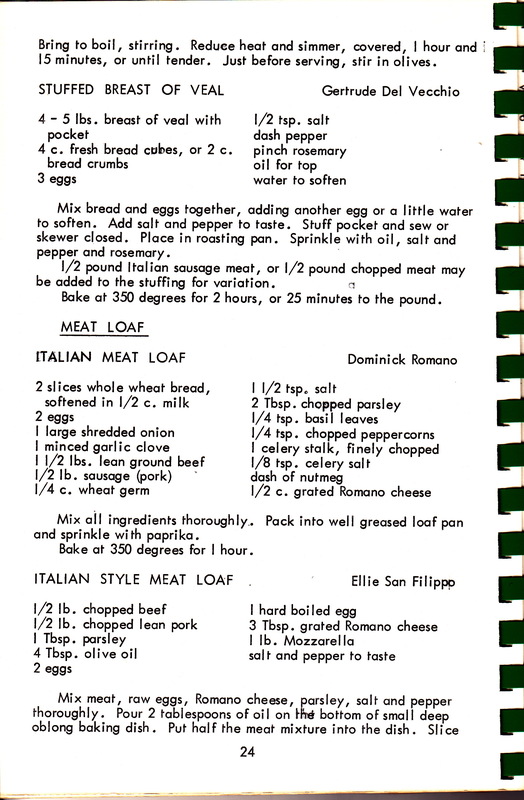 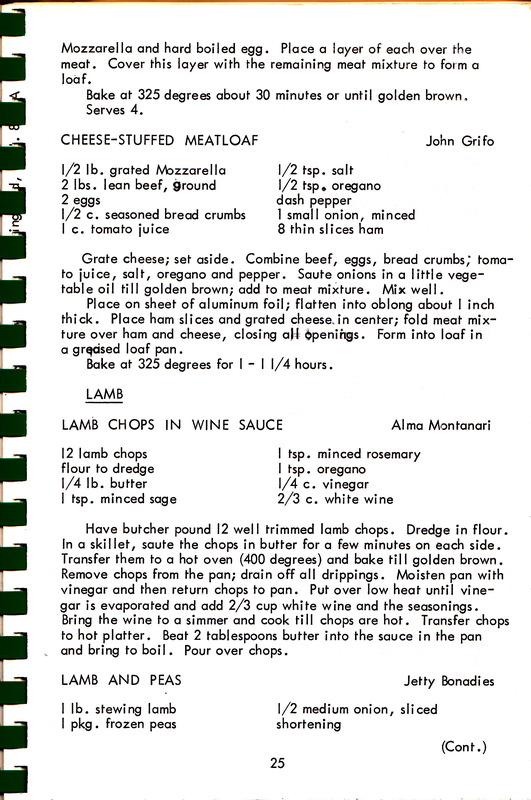 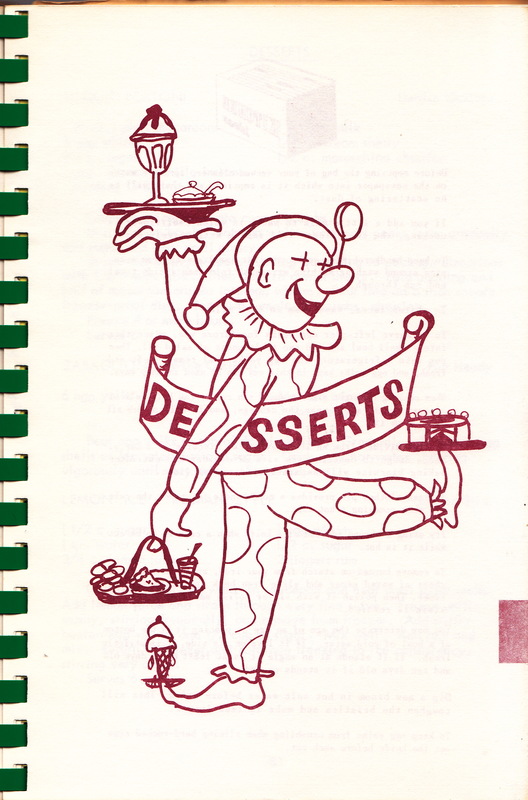 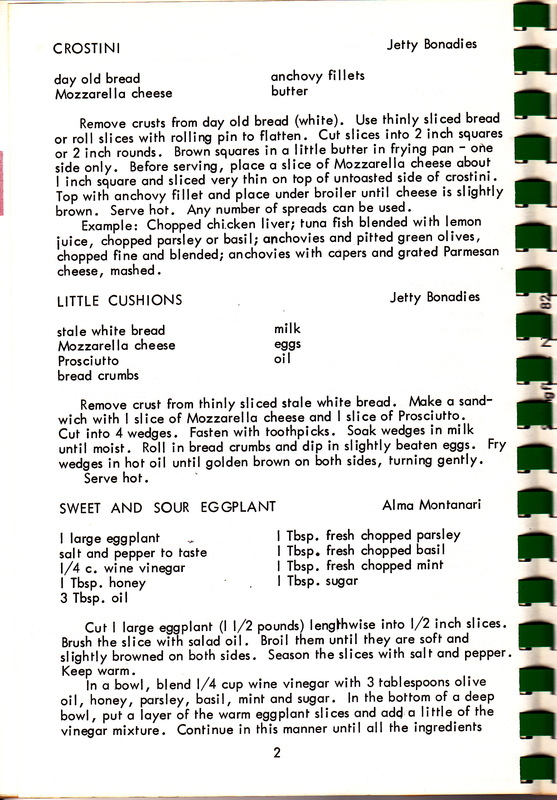 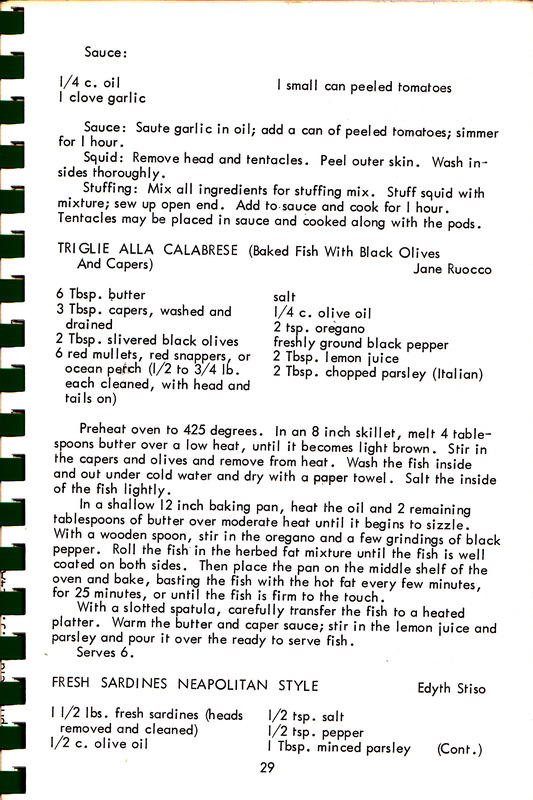 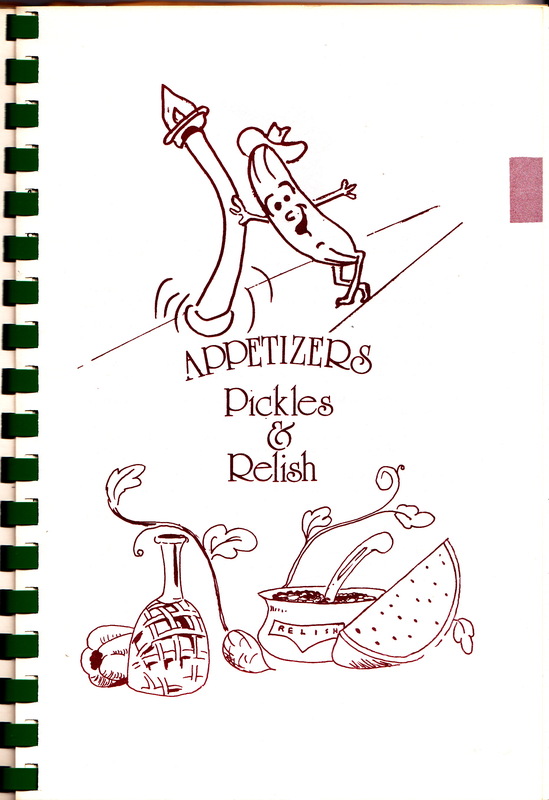 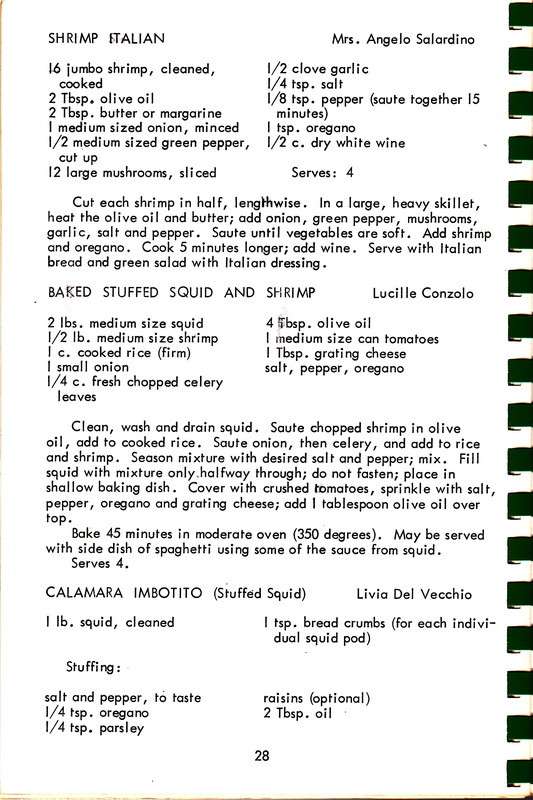 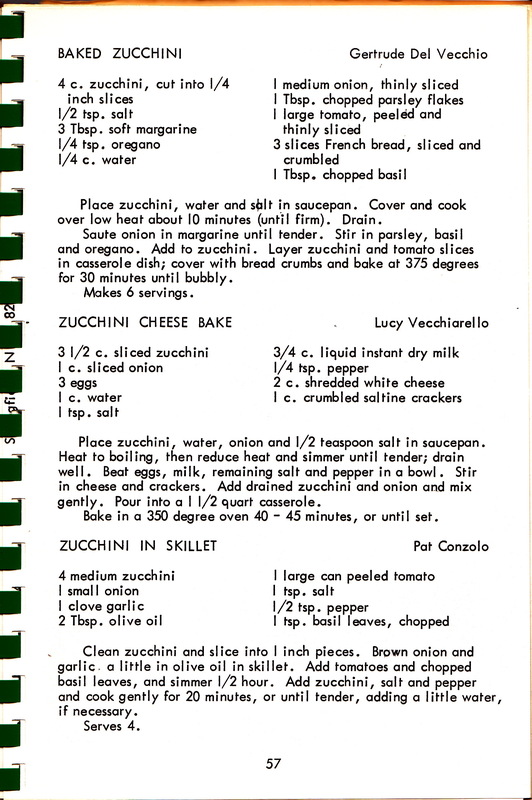 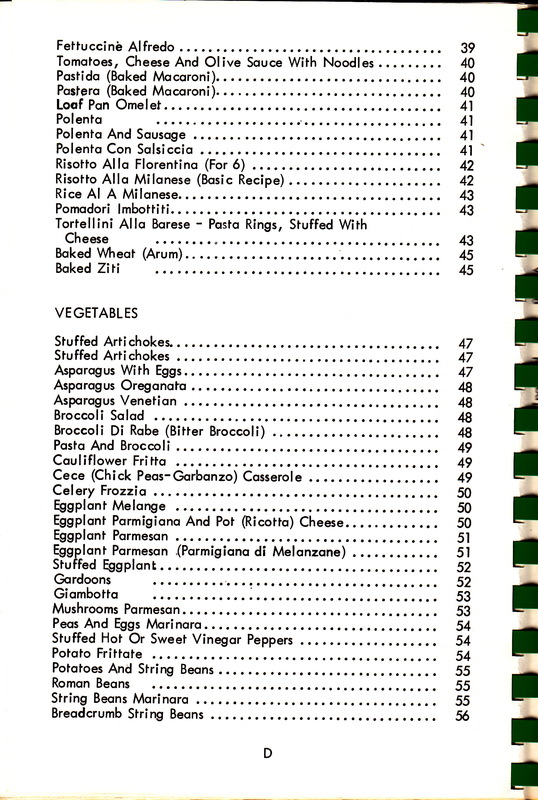 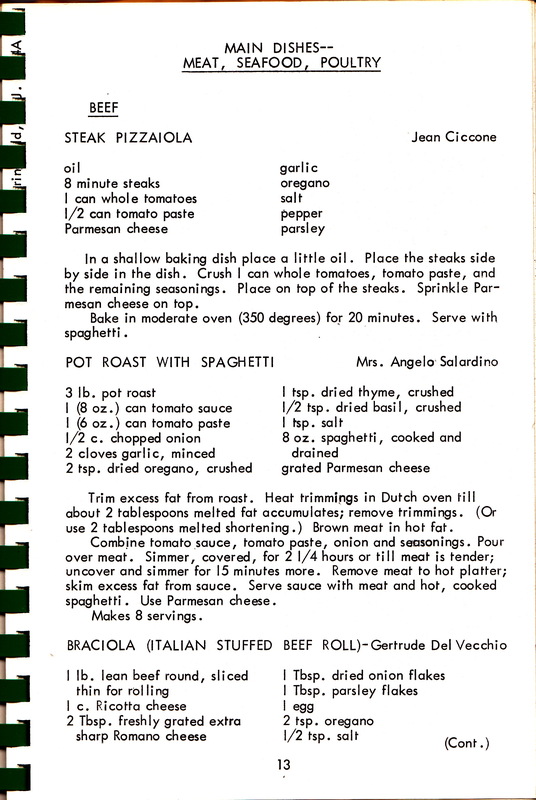 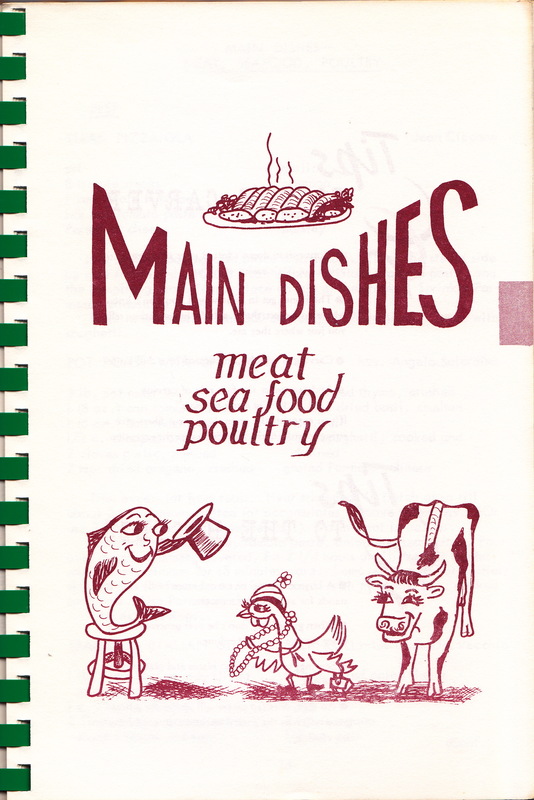 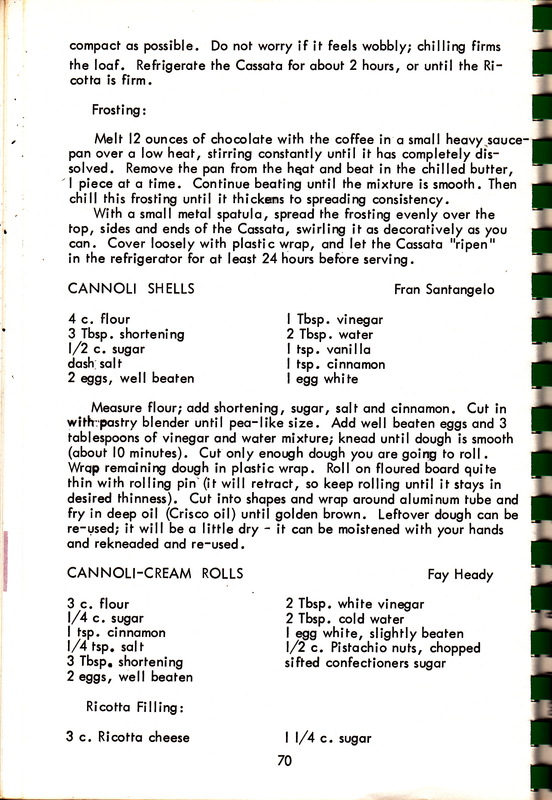 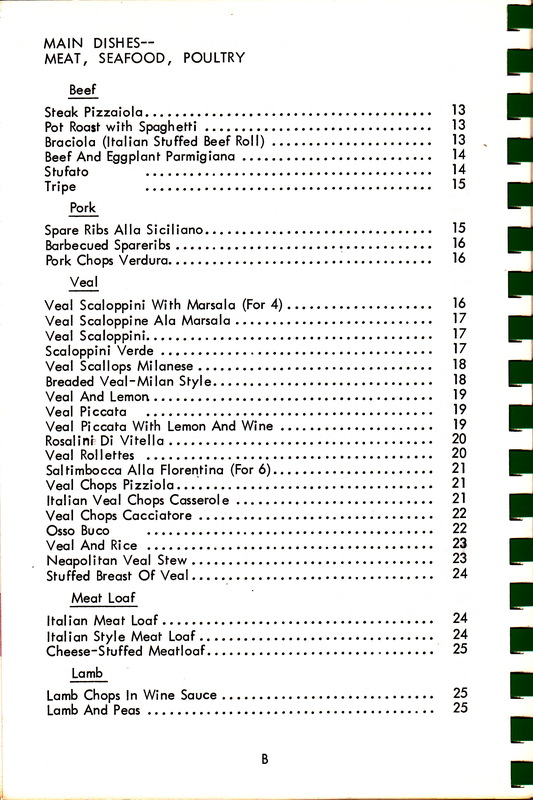 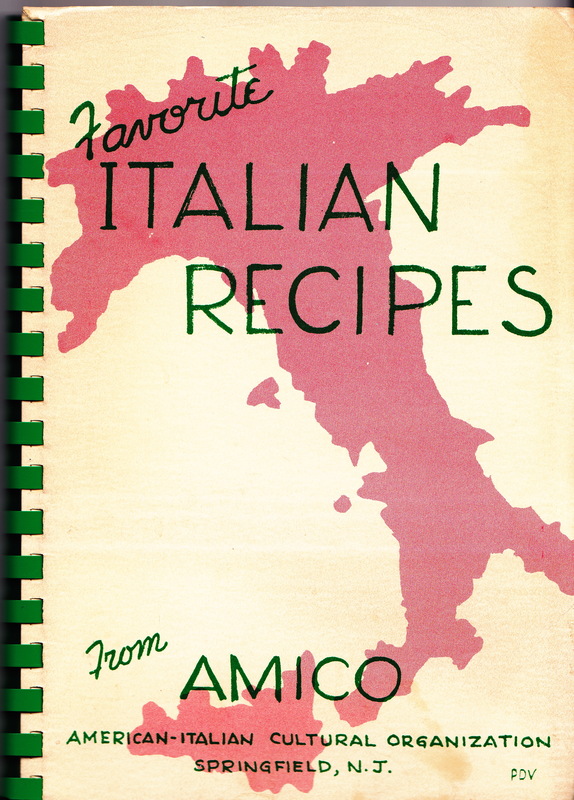 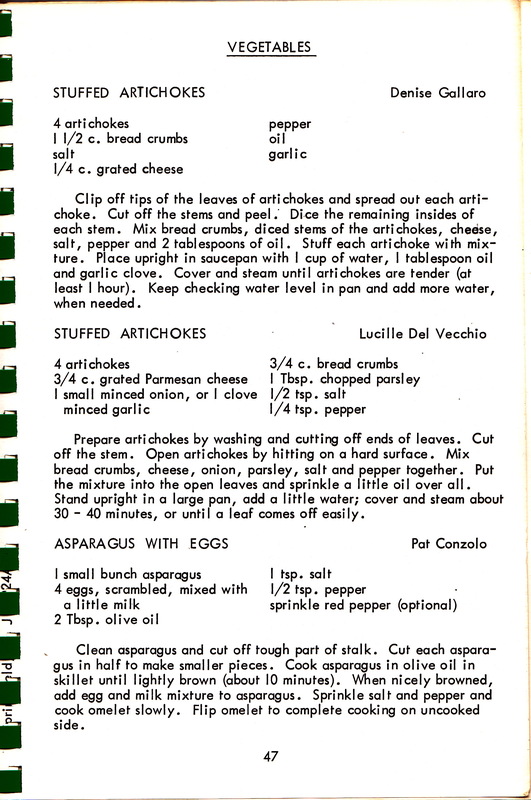 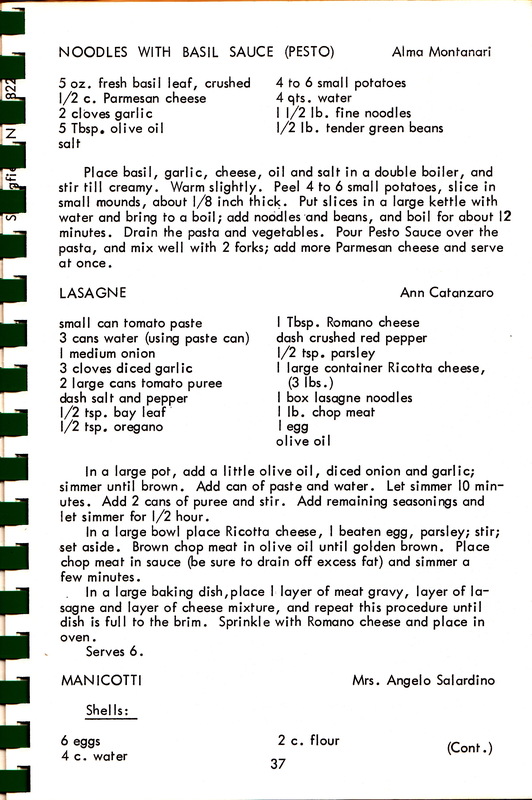 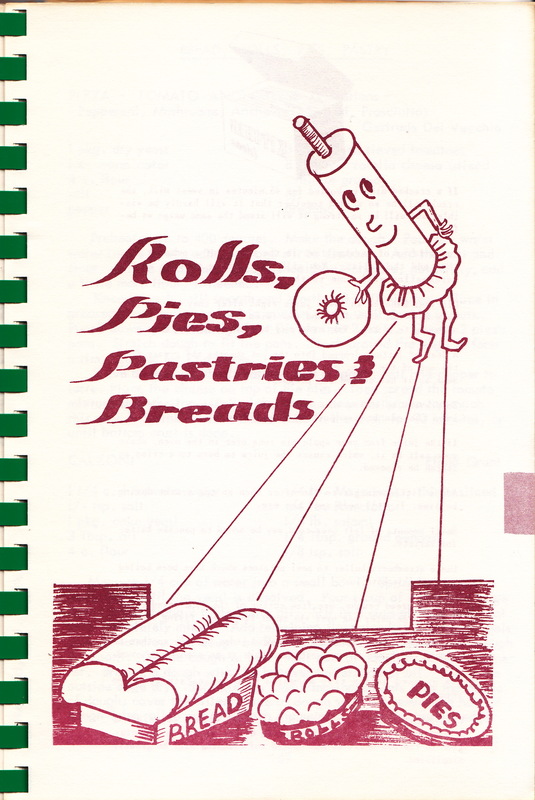 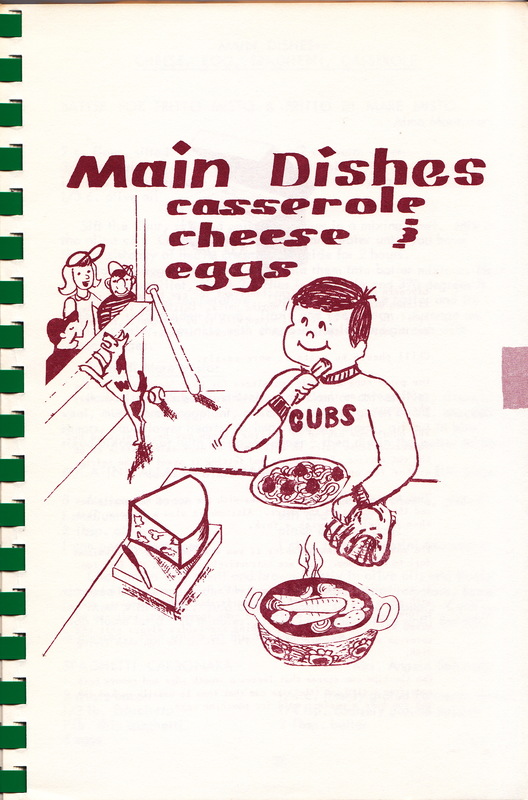 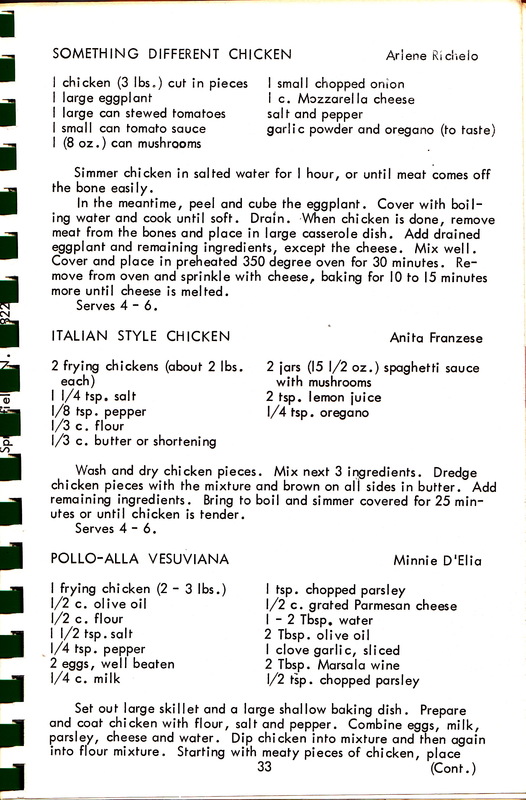 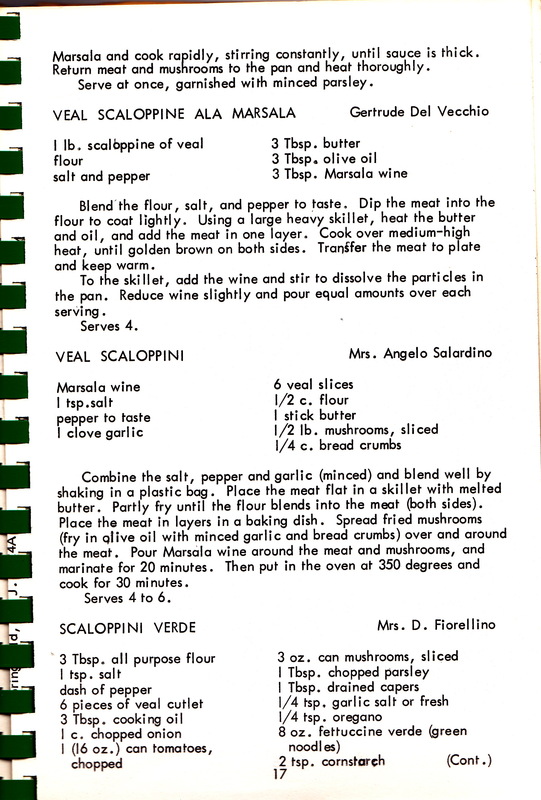 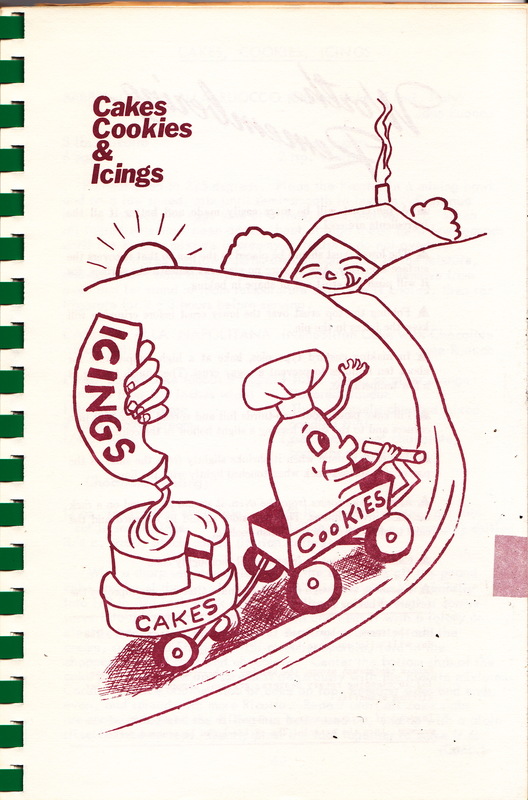 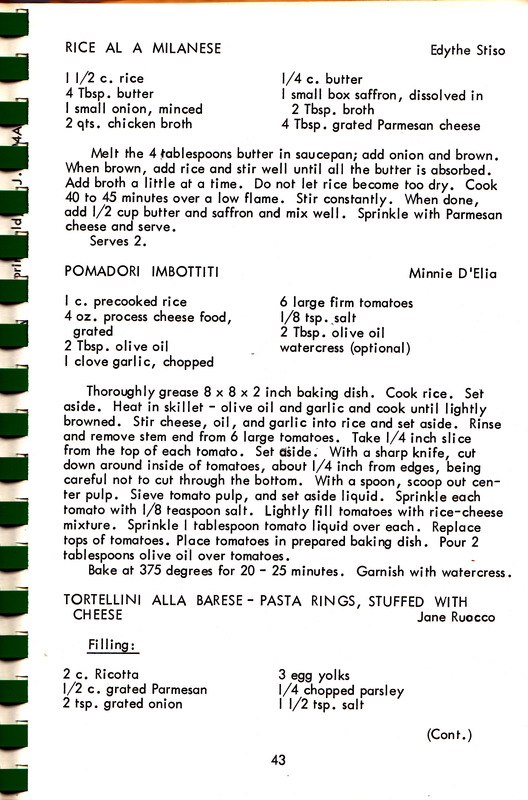 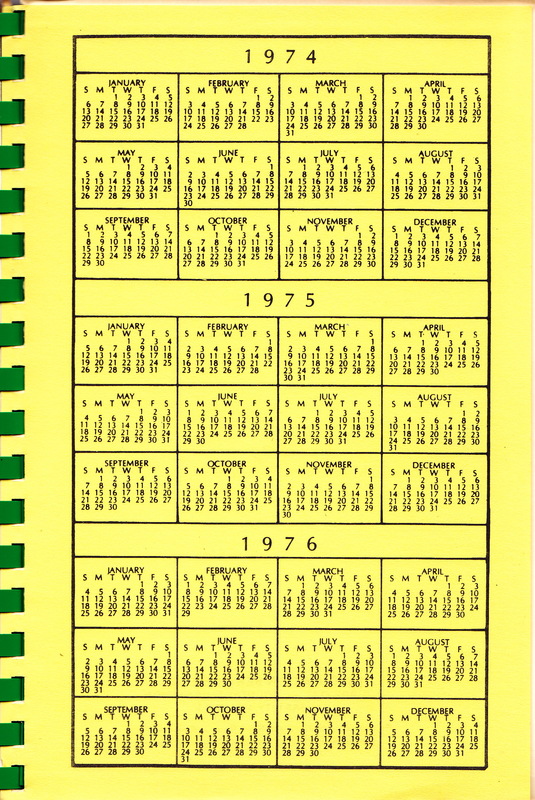 This is a cookbook your Nonnie helped put together for the local Italian-American organization, AMICO. 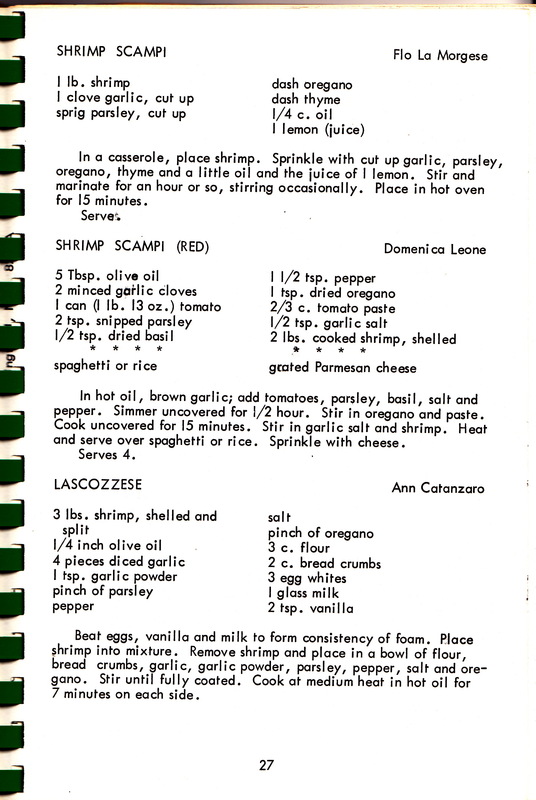 (Amico means “friend” in Italian.) 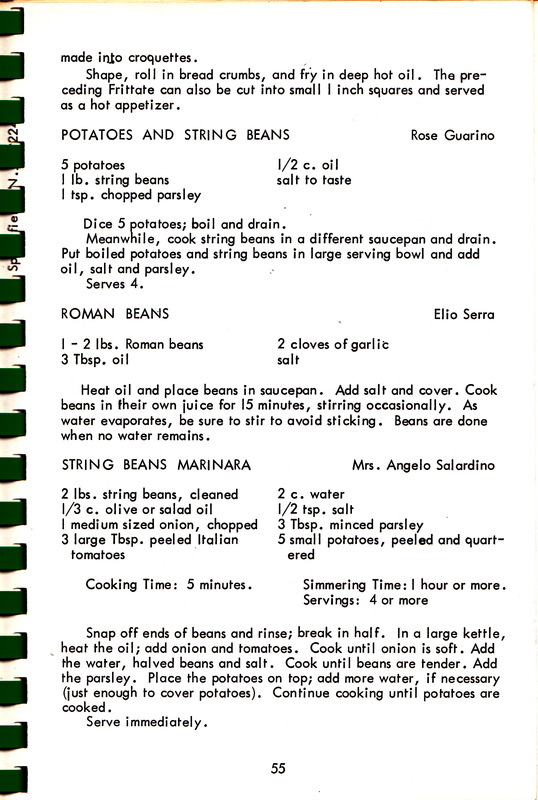 Many of Nonnie’s recipes are in here, and if you make them yourself, you can know exactly the kind of food I ate growing up as a child! 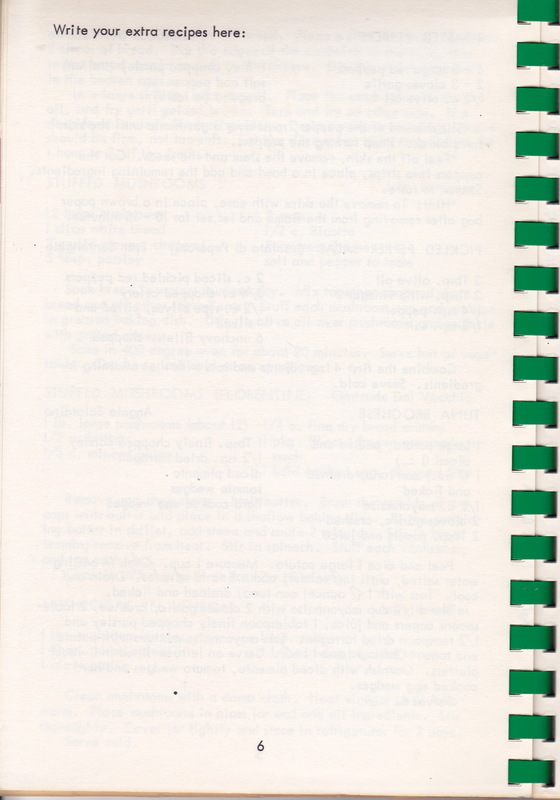 It’s a way for your female ancestors and extended family members to communicate with you. 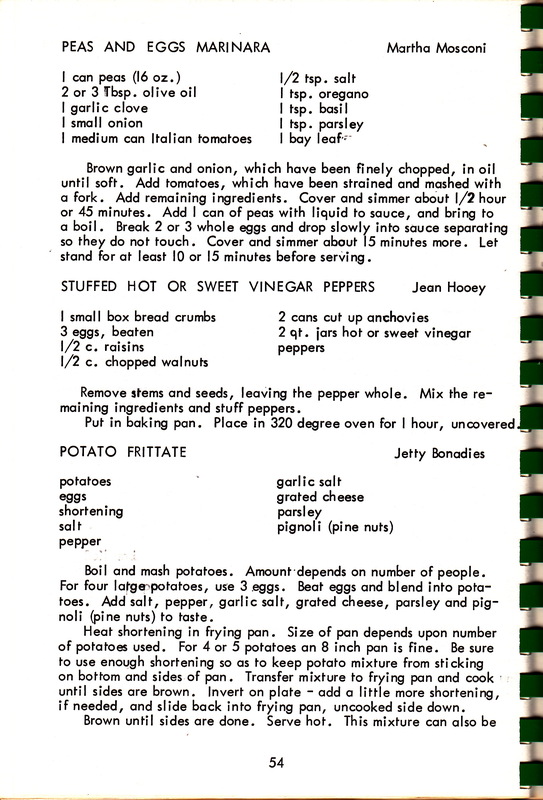 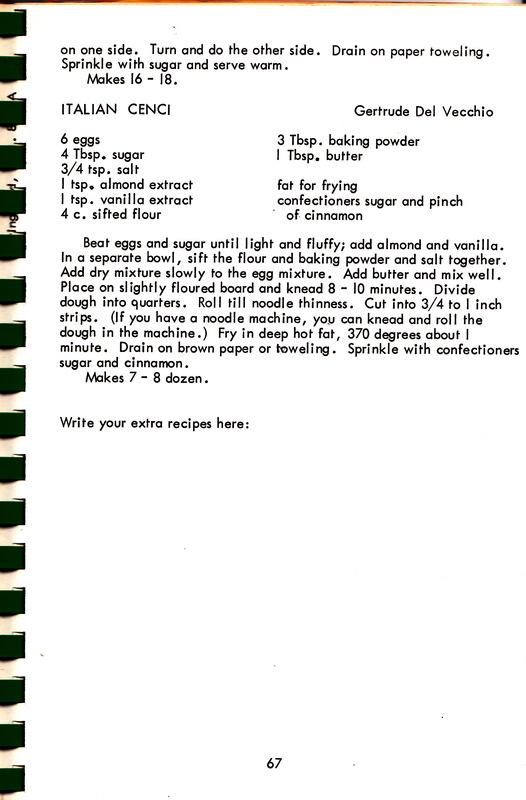 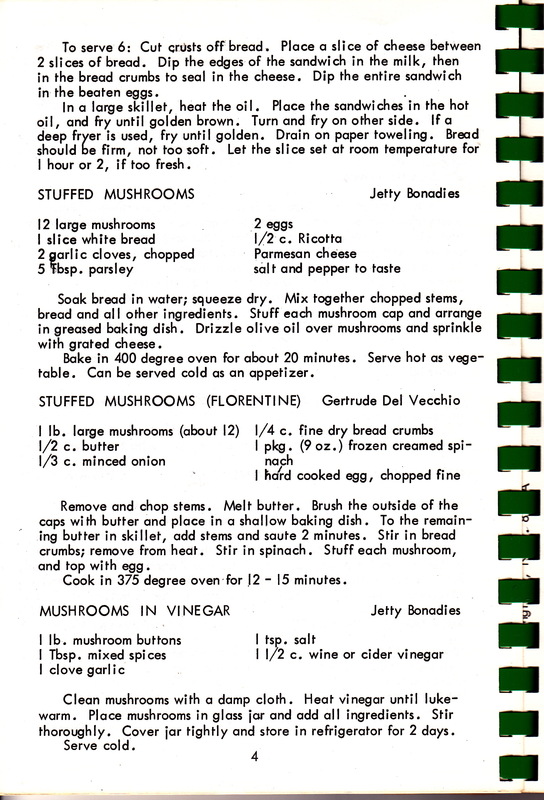 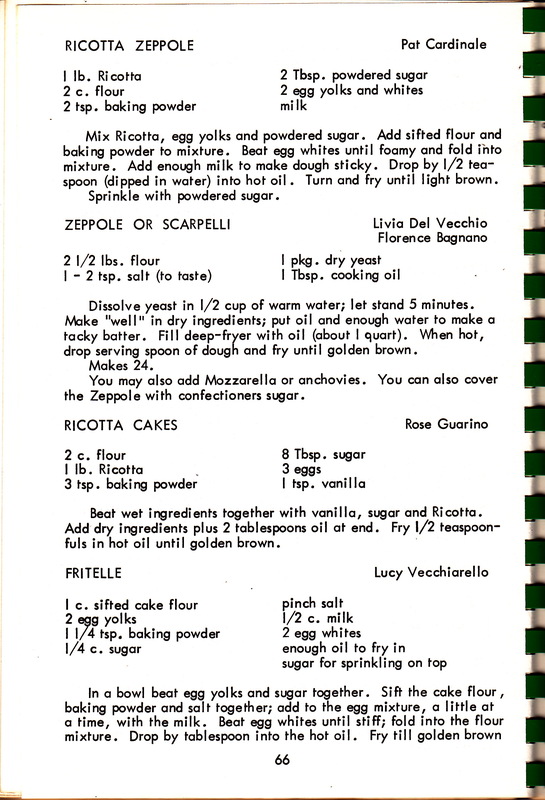 Had you been a little older, you and Nonnie would probably have made some of her dishes together. 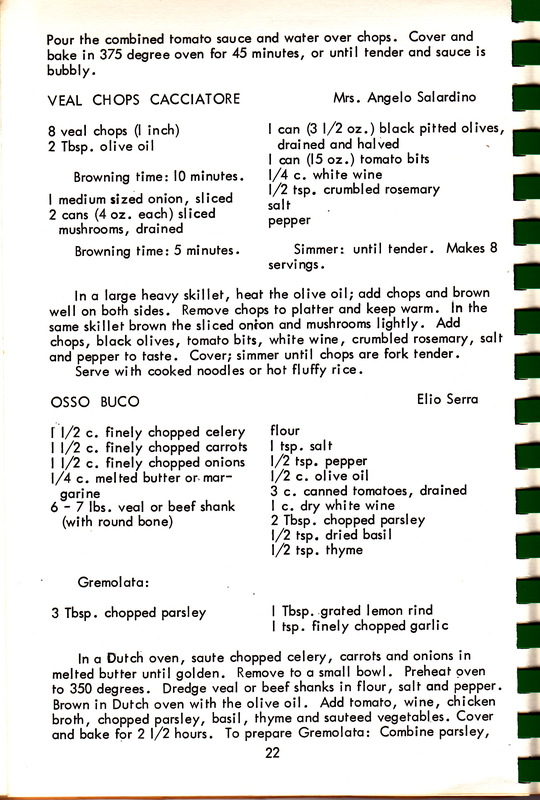 This is very much a part of your family’s history, and part of your heritage. 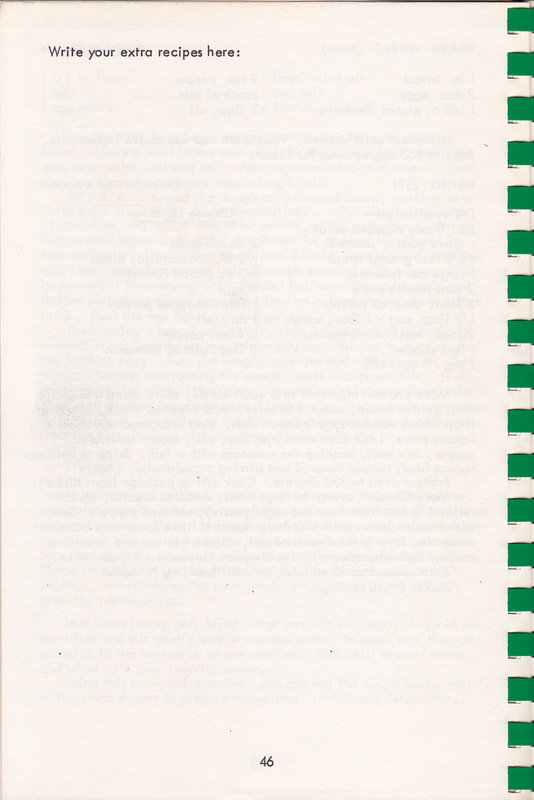 I hope you enjoy reading it as much as I have enjoyed scanning it and posting it here for you to read. 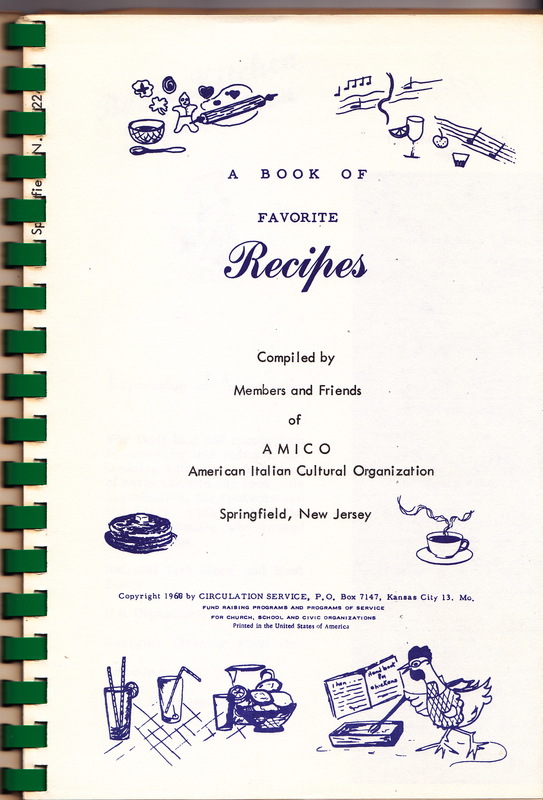 AMICO (American-Italian Cultural Organization) was formed in my home town of Springfield, New Jersey in the early 1970s. 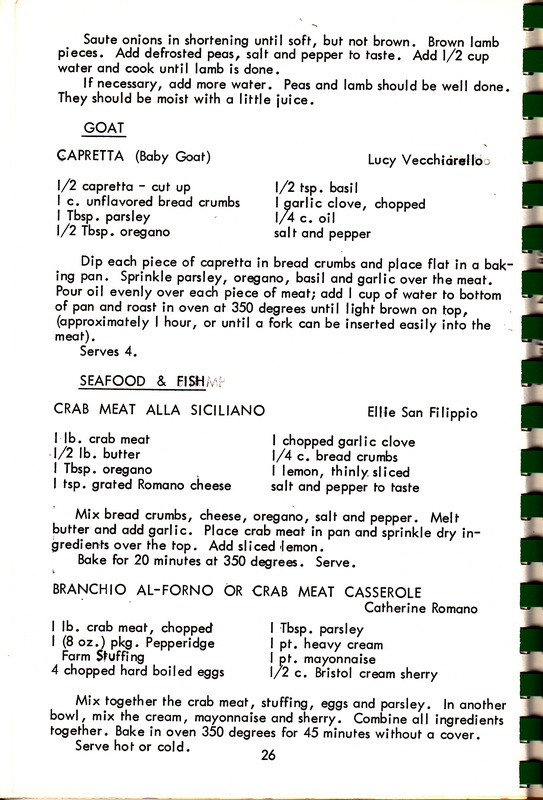 Both my parents, Philip and Gertrude Del Vecchio, were founding members. 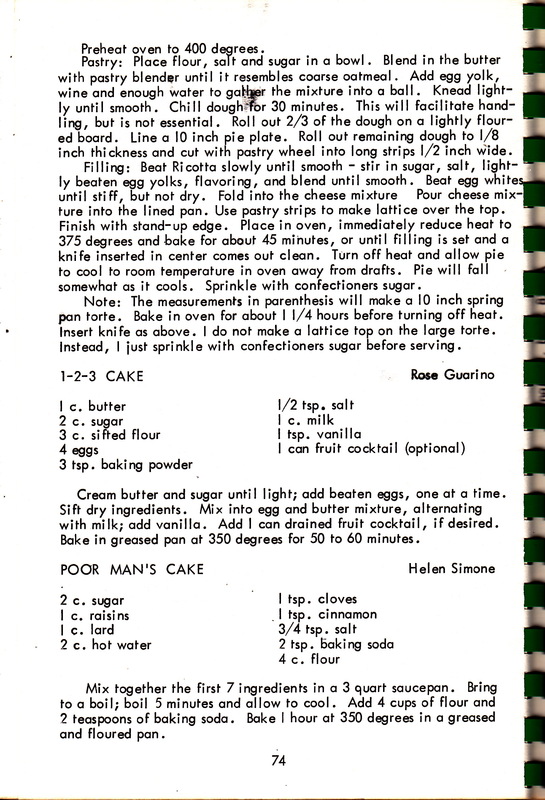 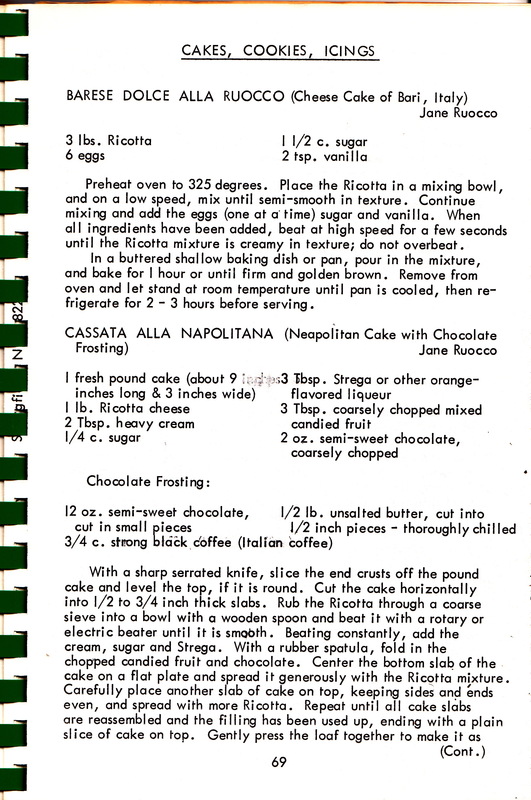 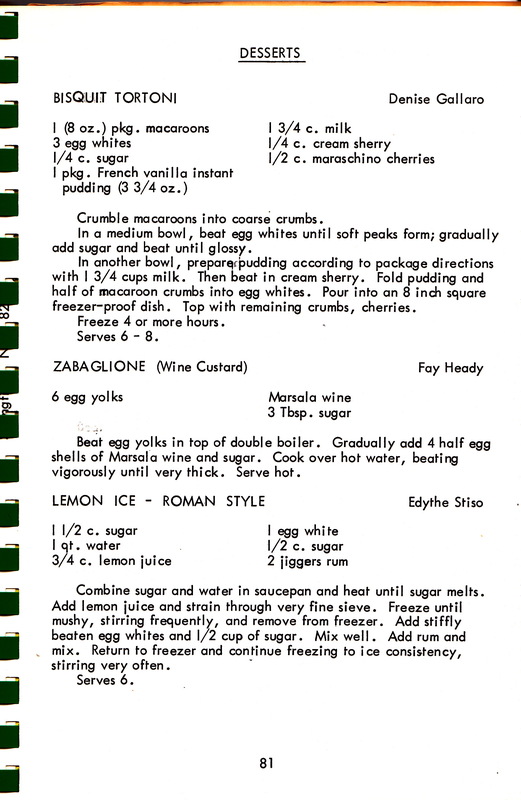 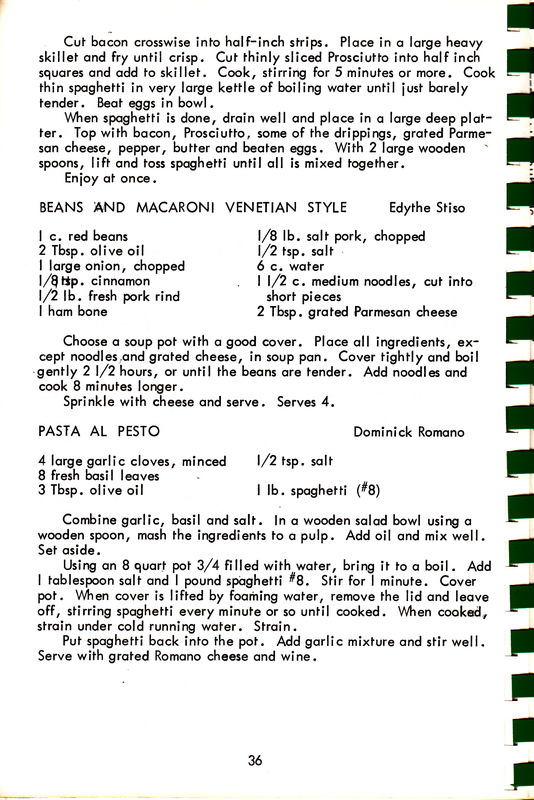 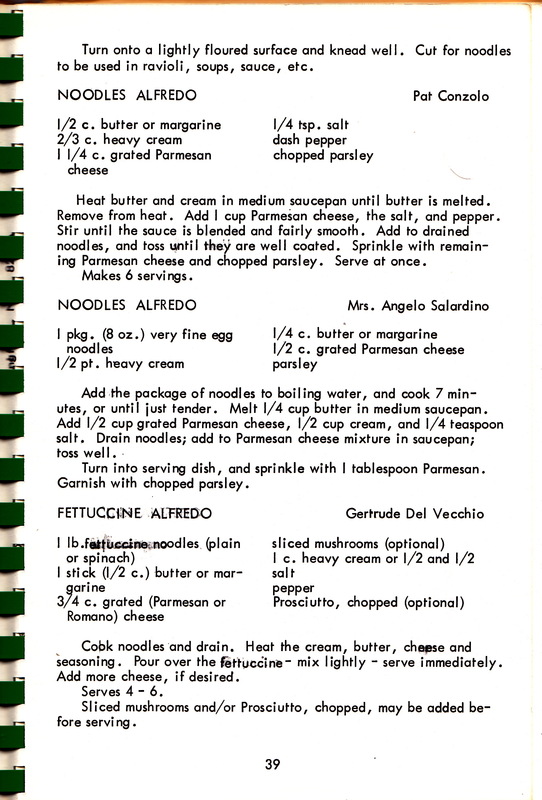 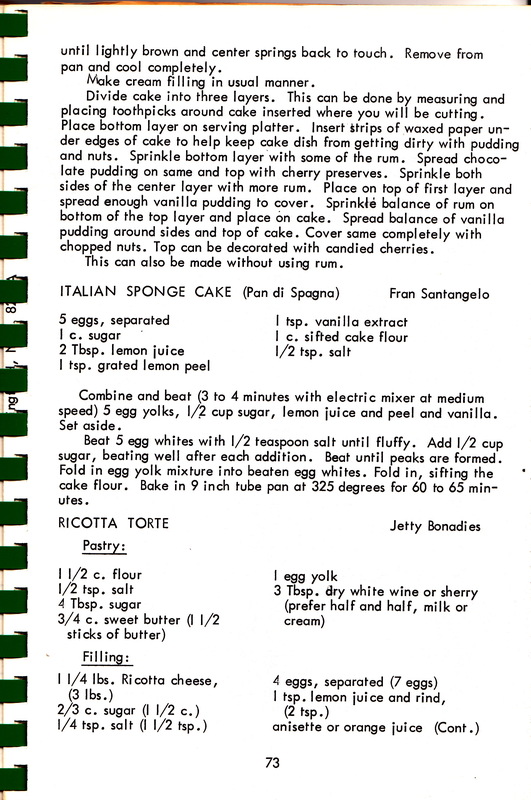 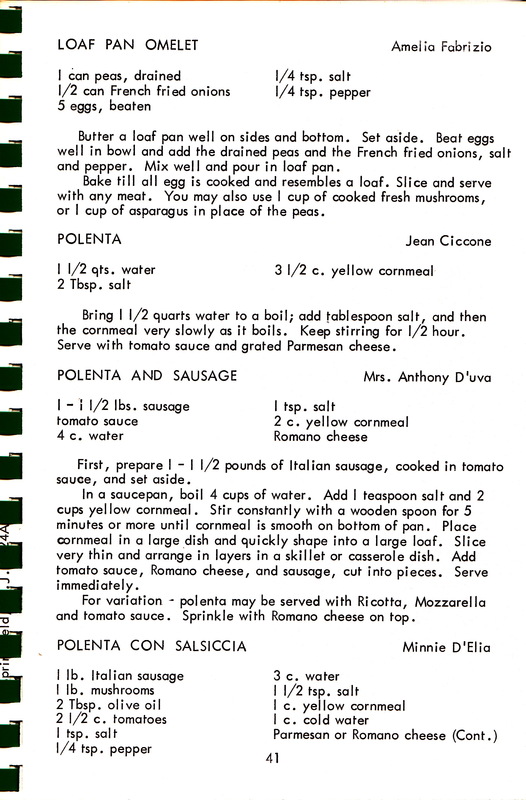 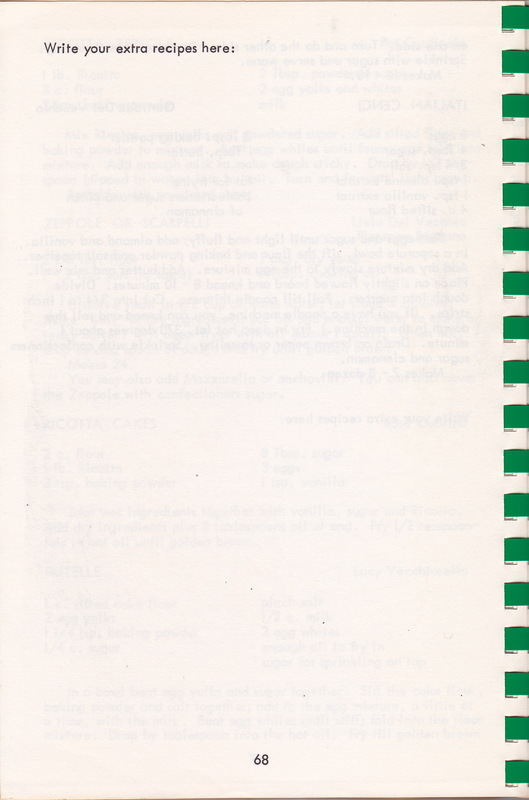 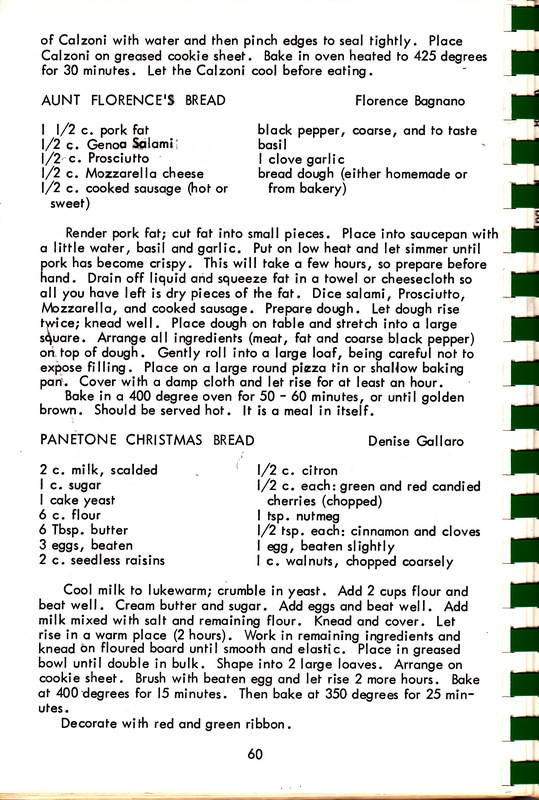 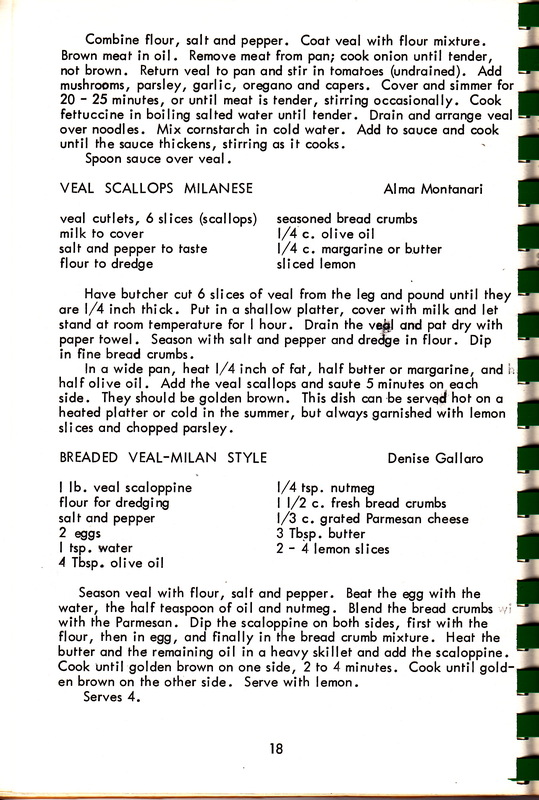 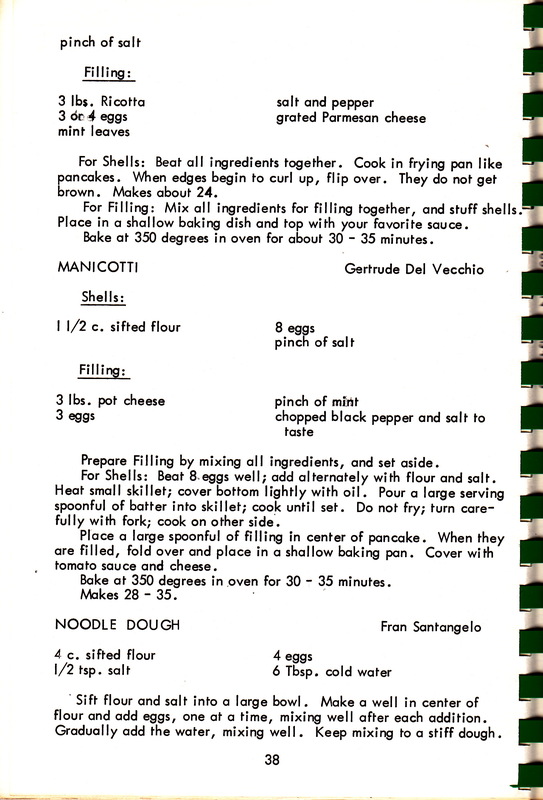 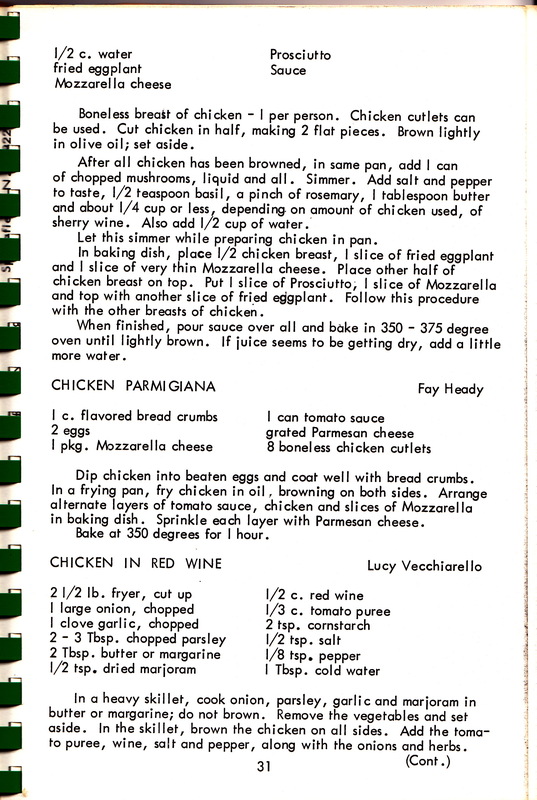 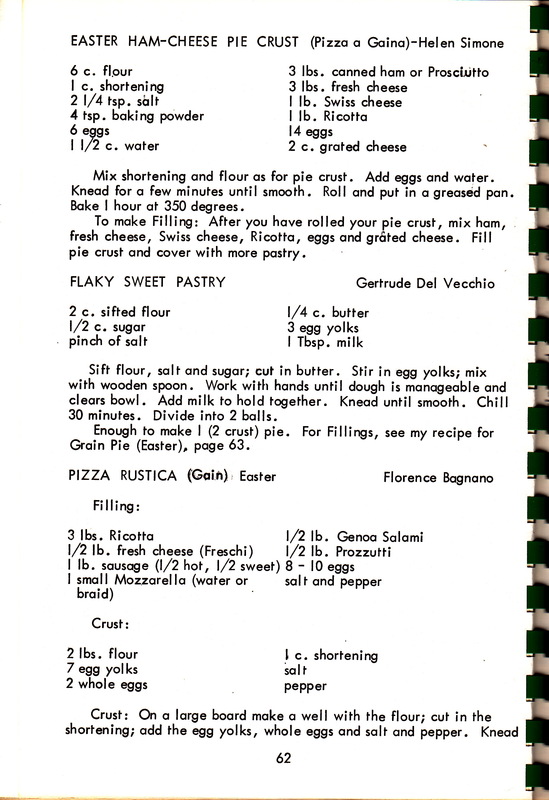 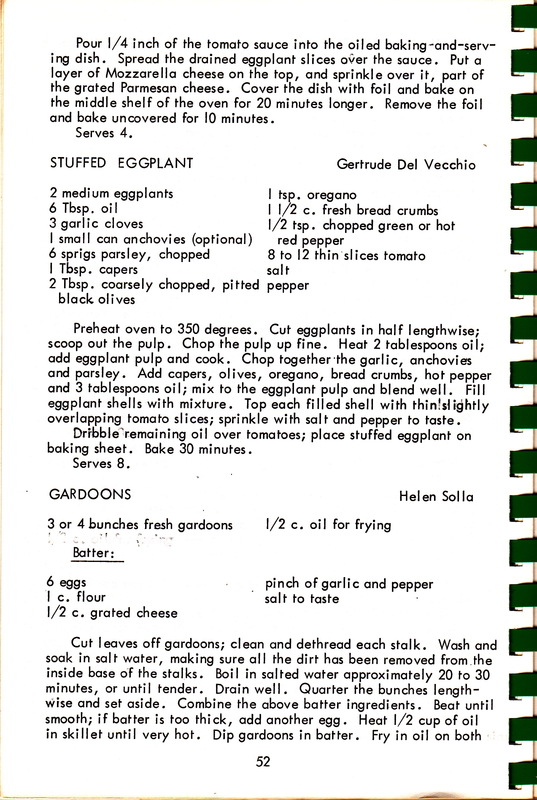 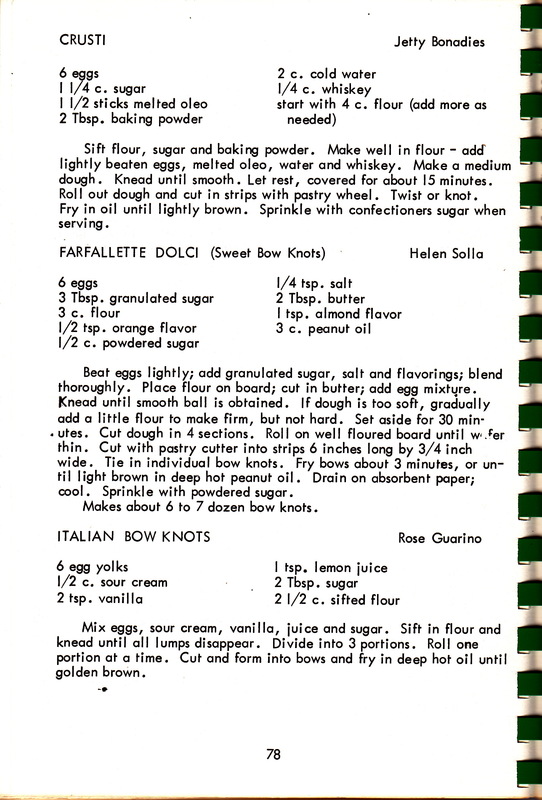 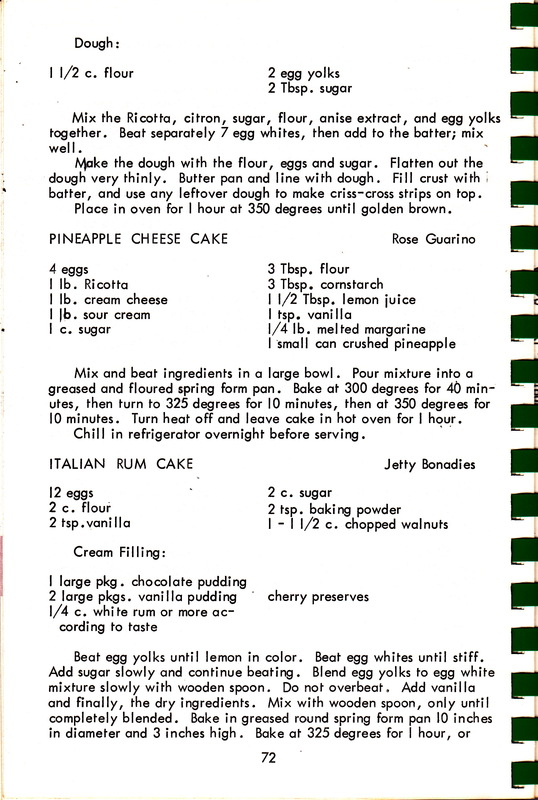 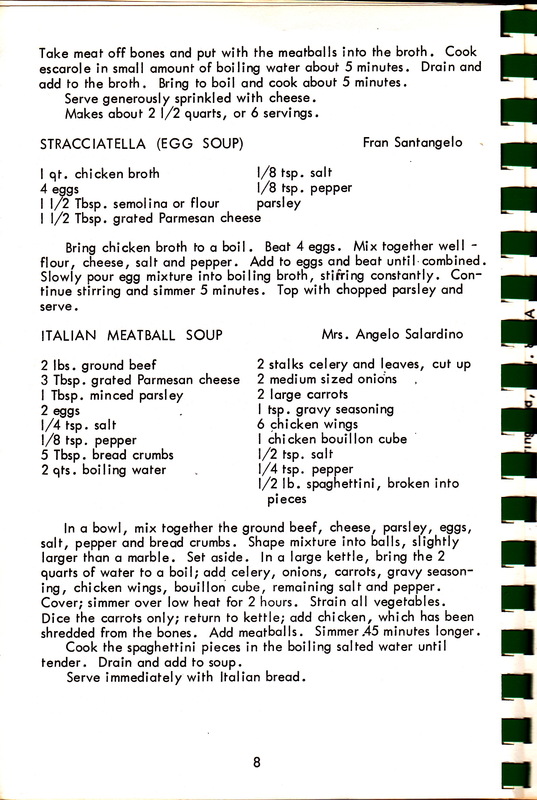 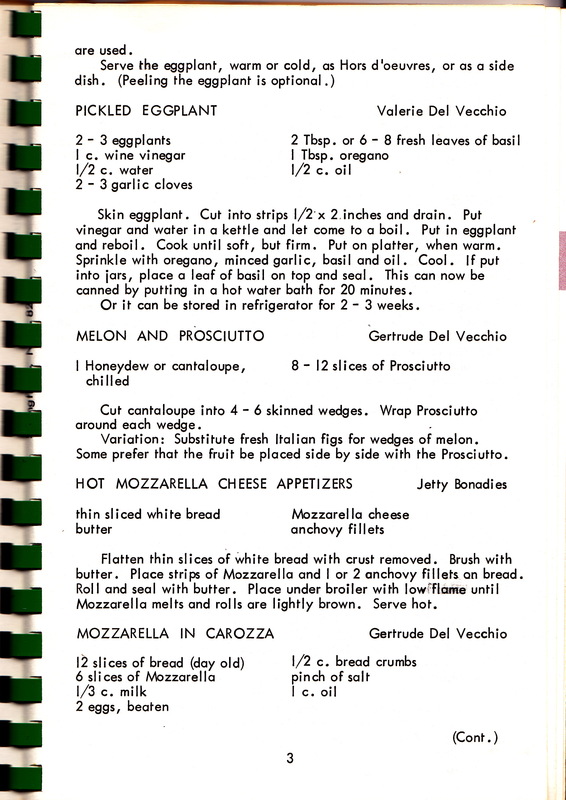 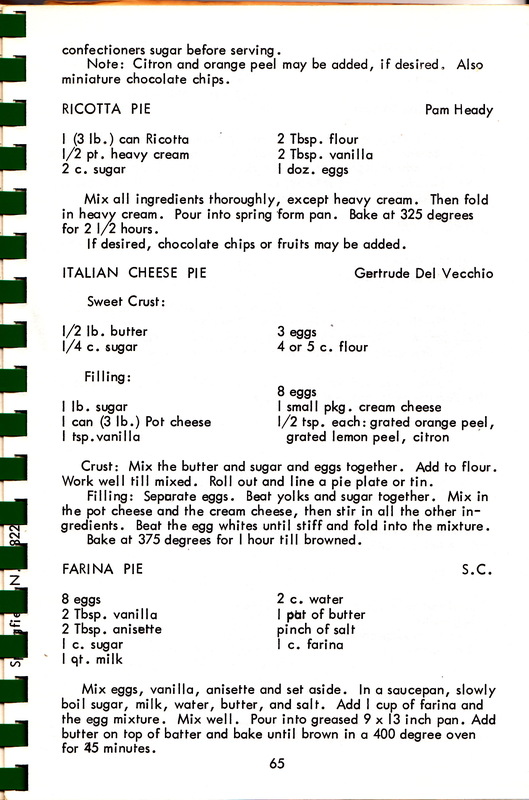 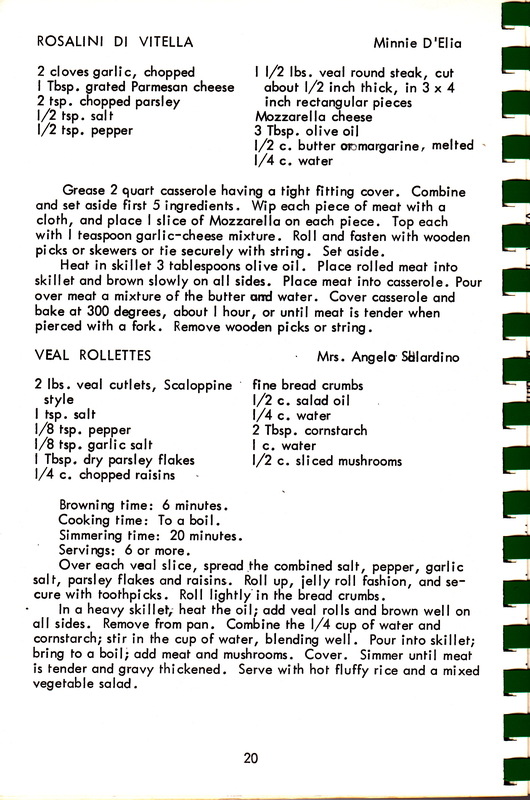 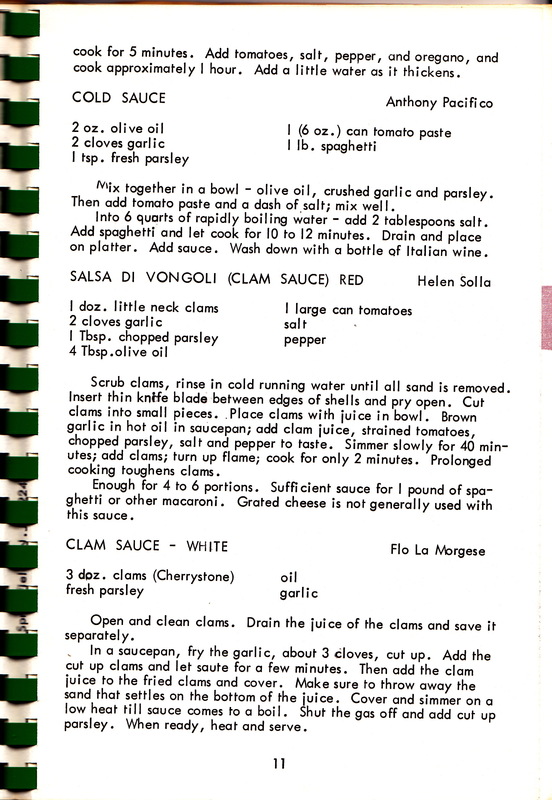 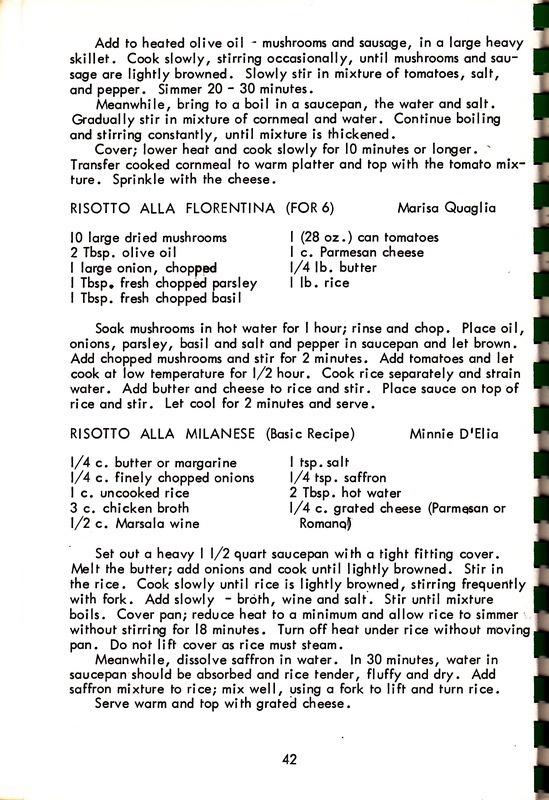 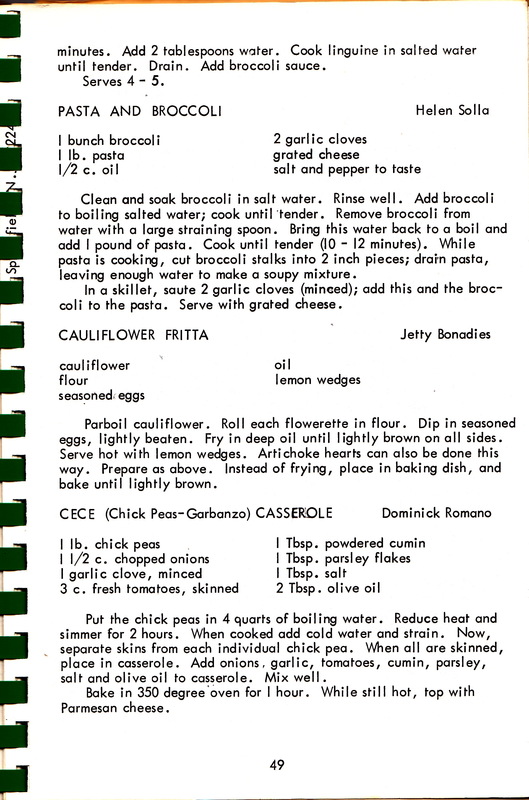 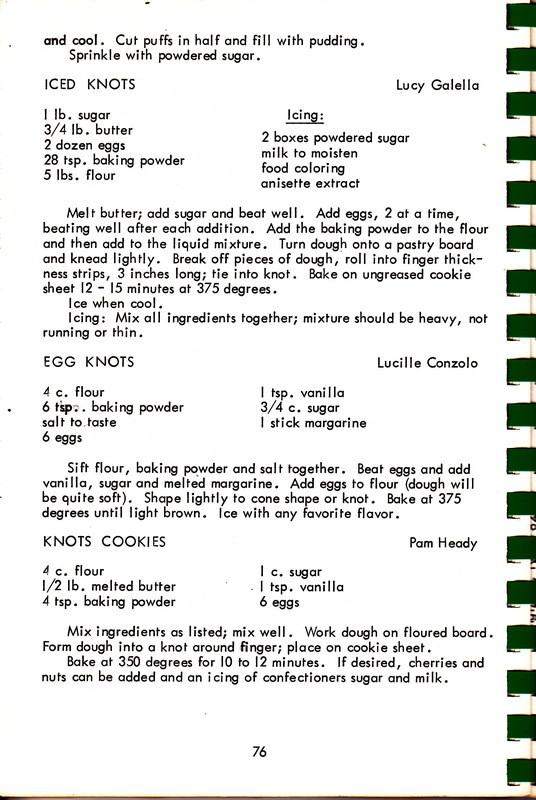 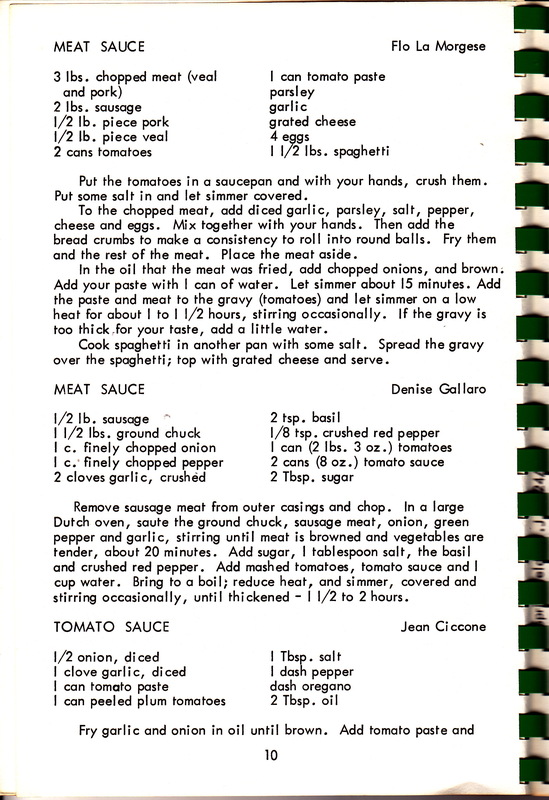 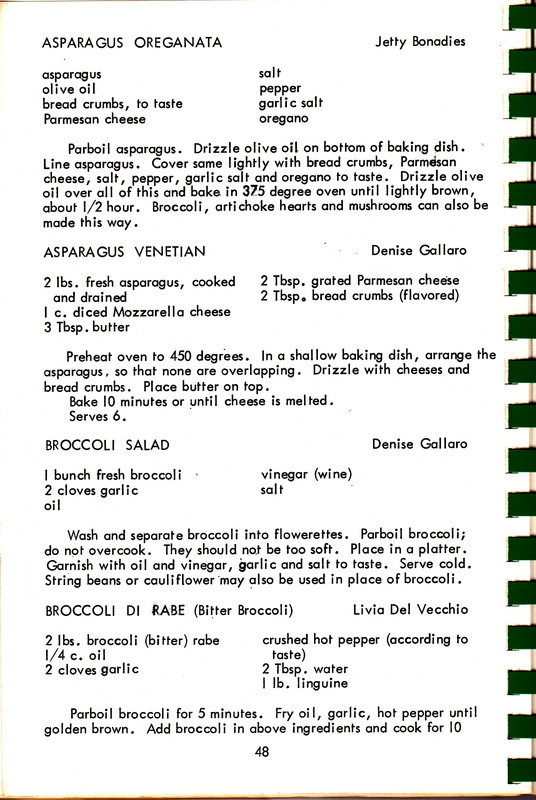 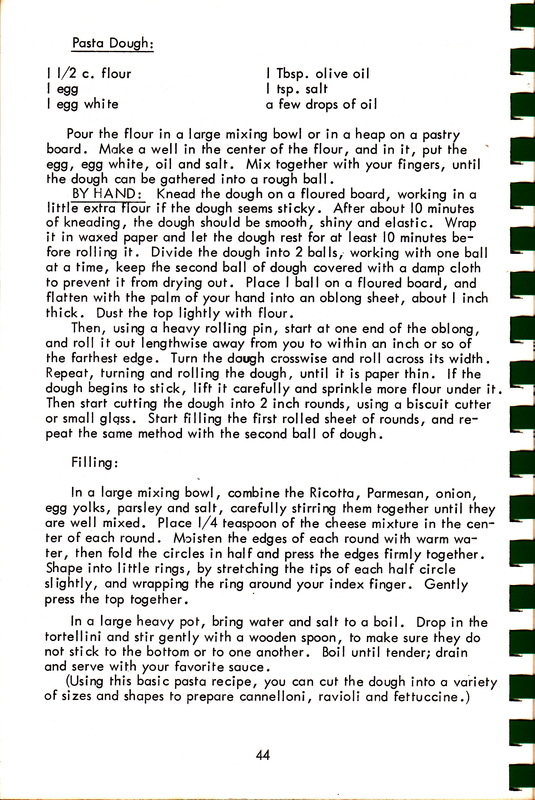 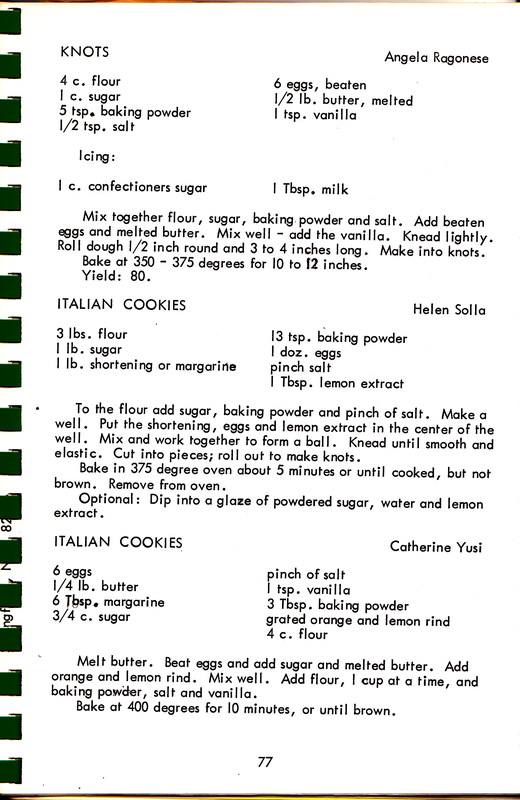 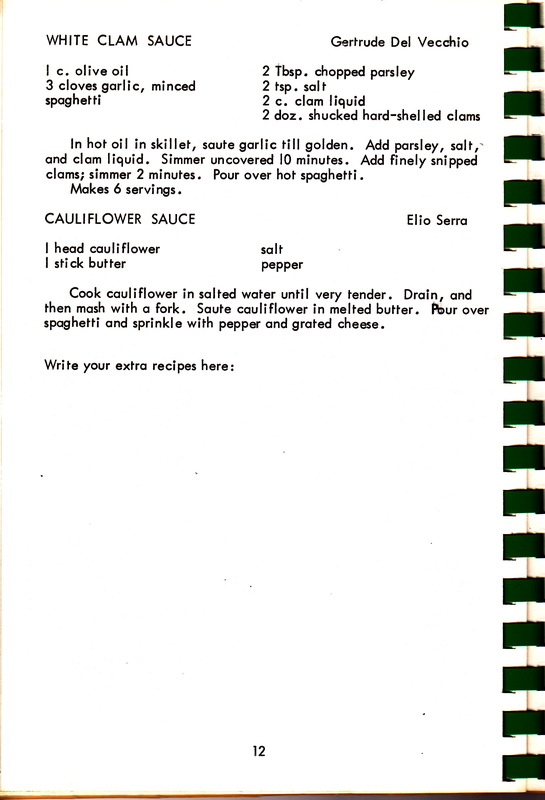 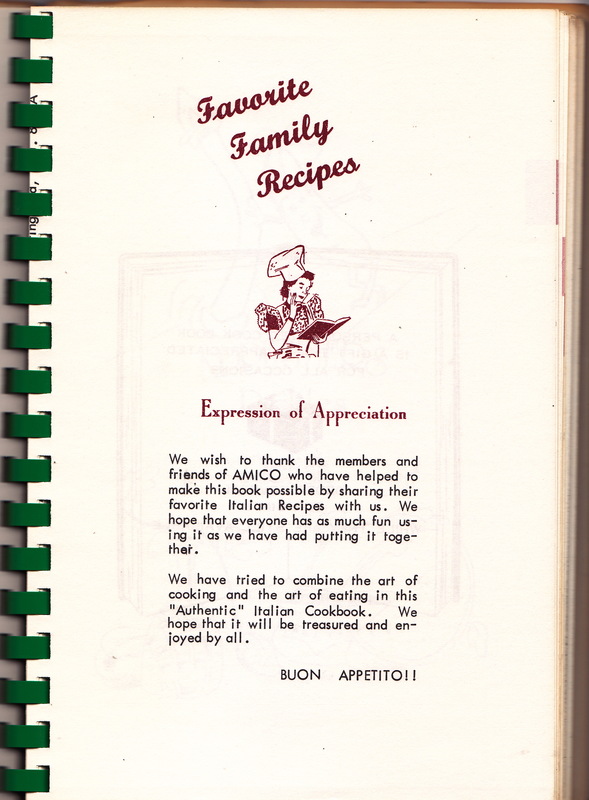 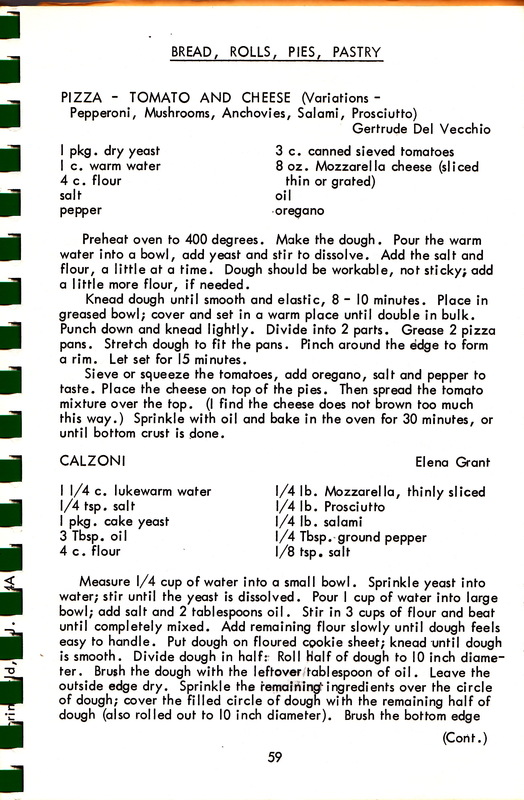 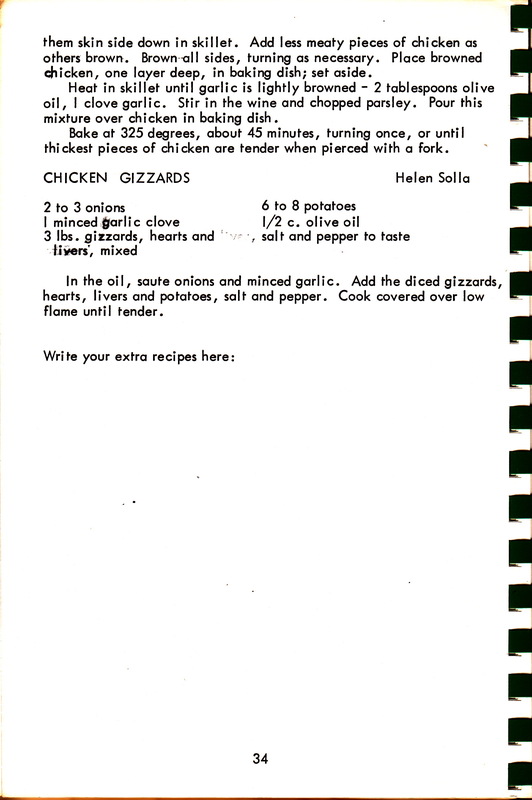 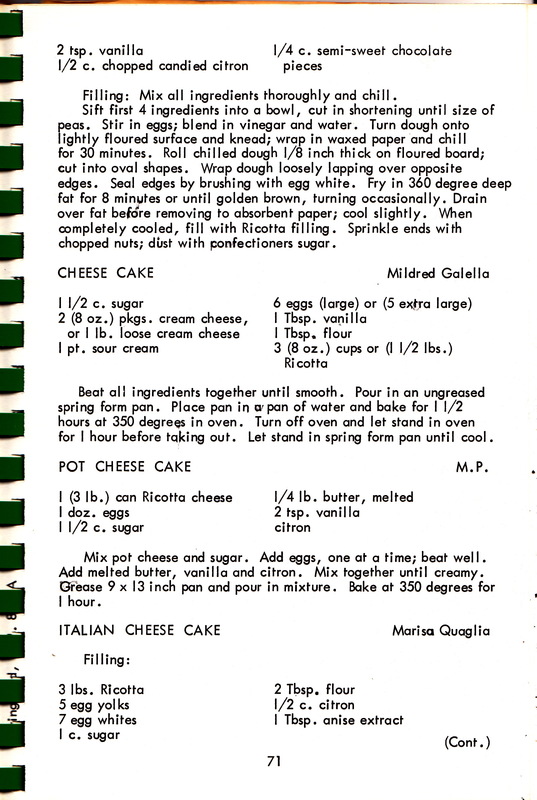 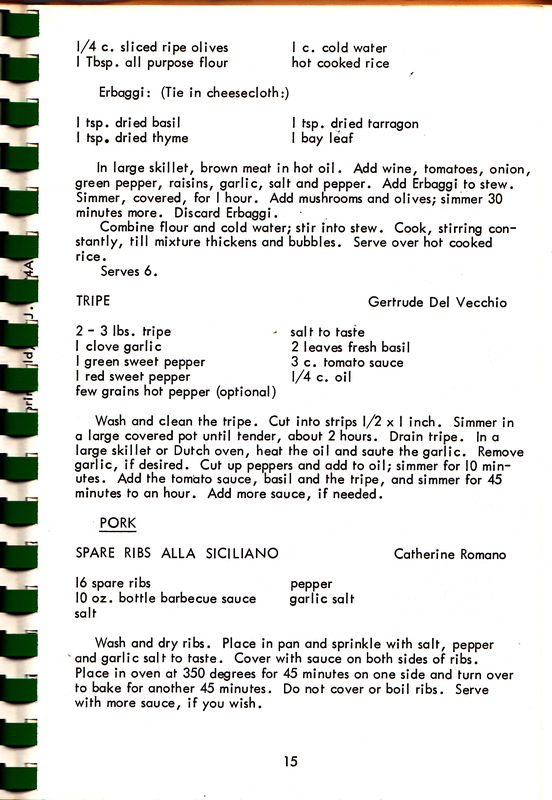 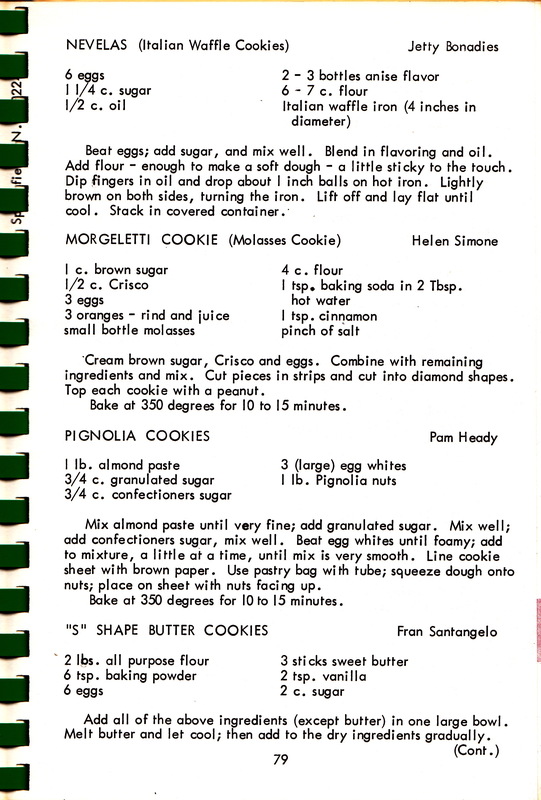 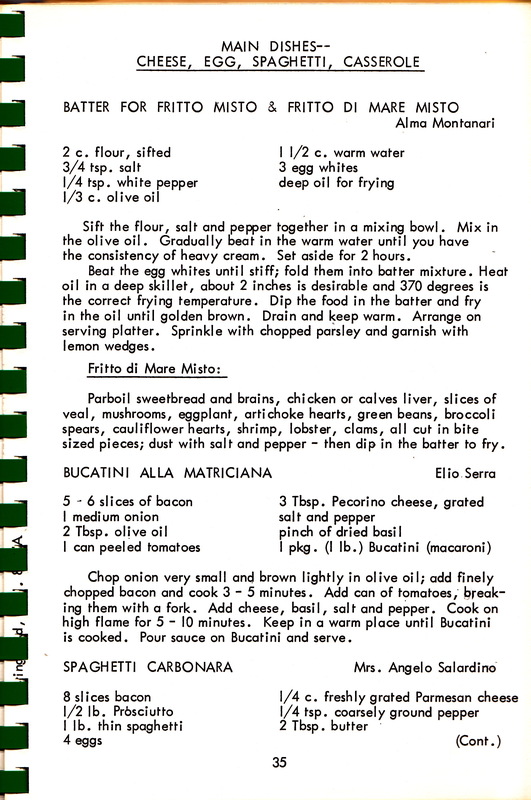 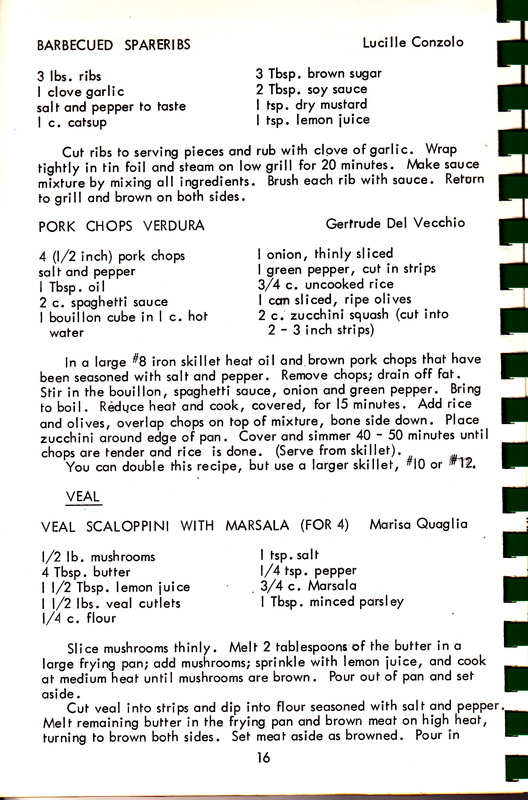 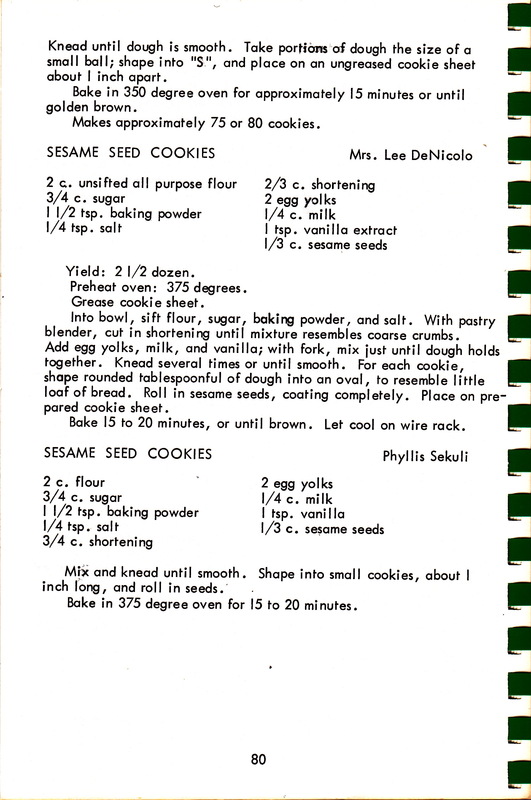 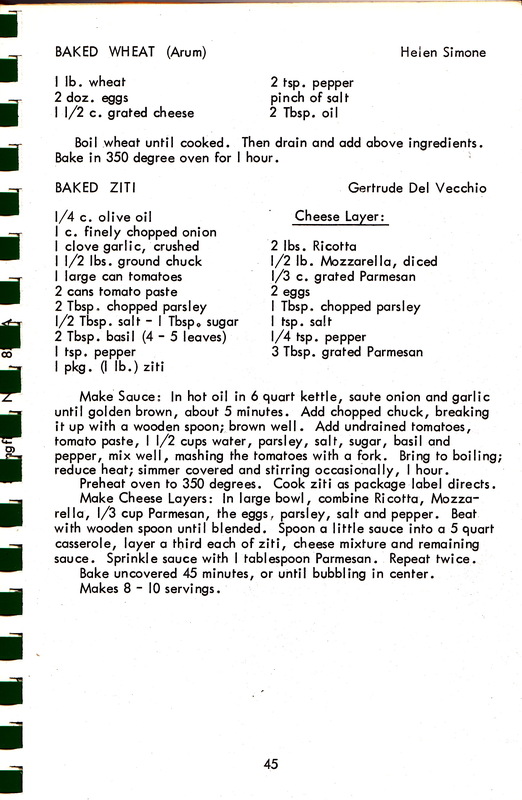 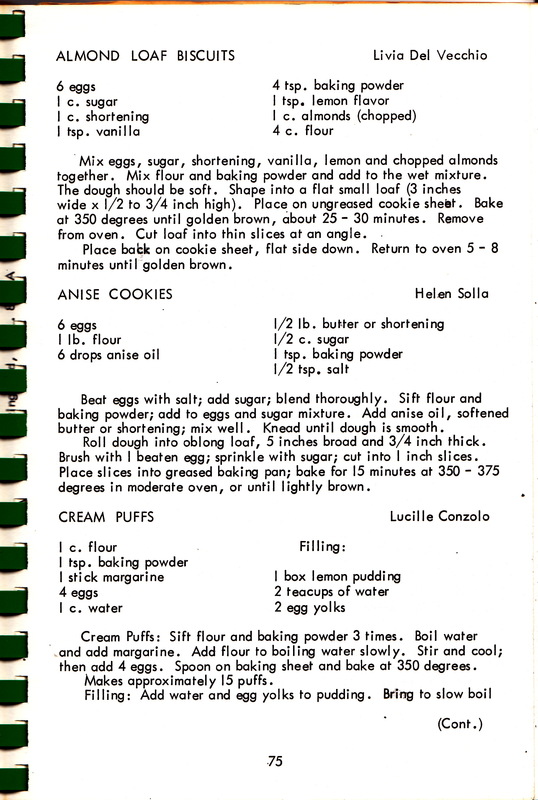 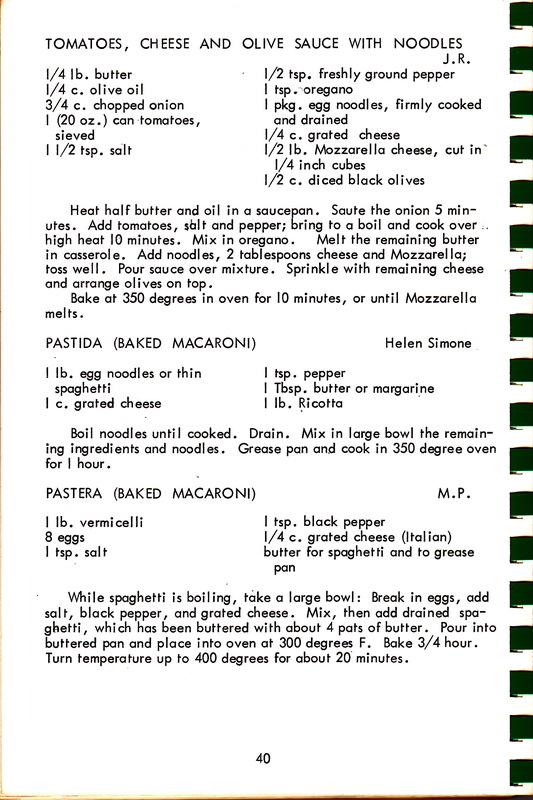 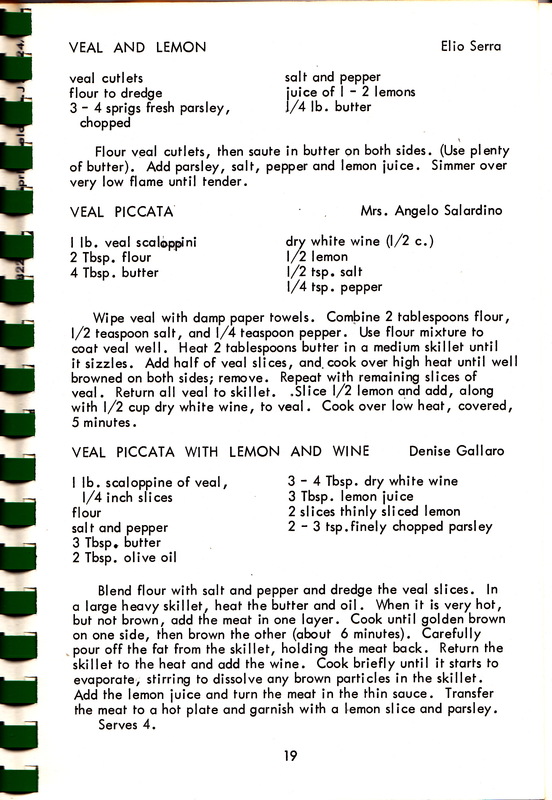 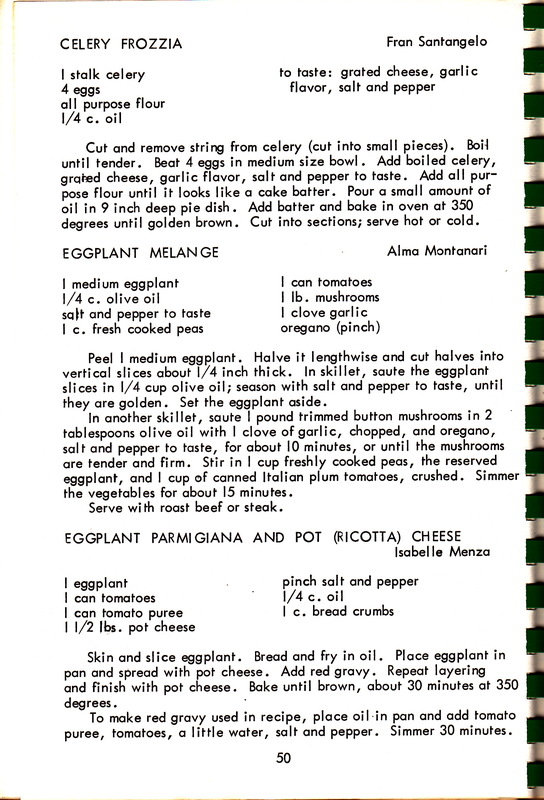 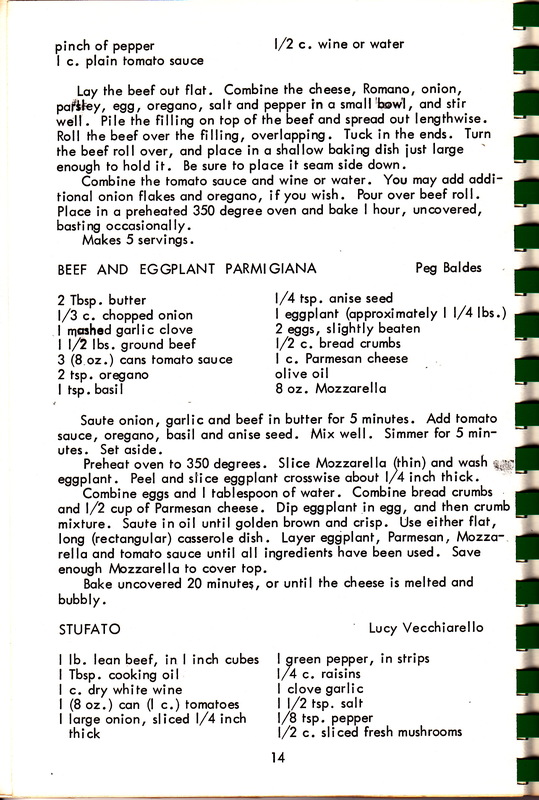 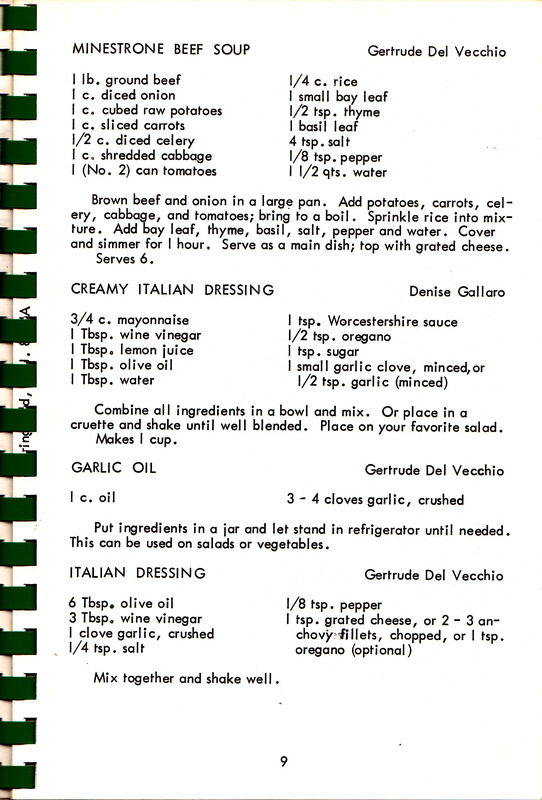 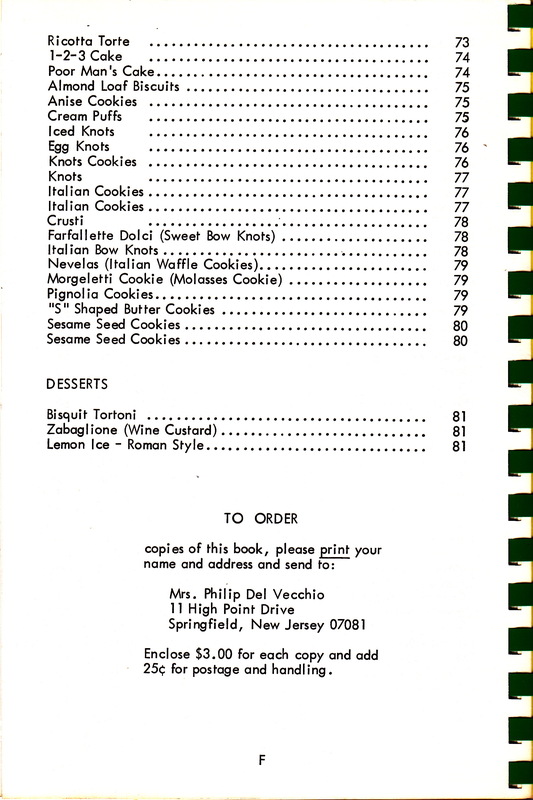 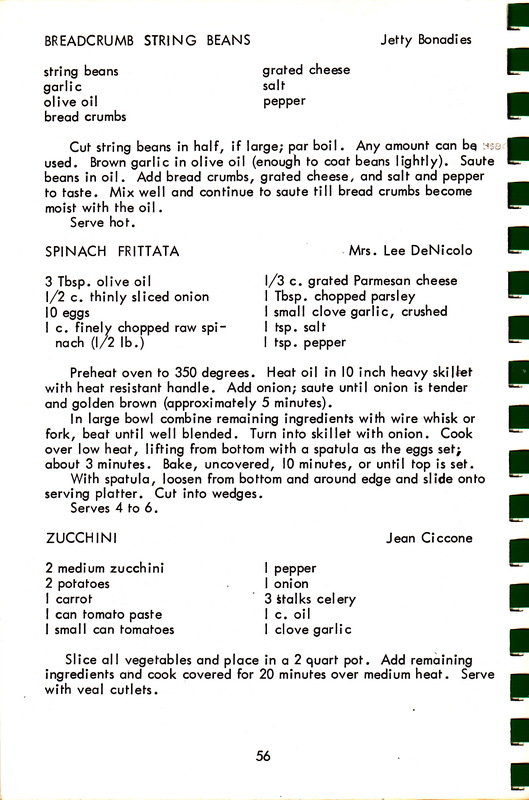 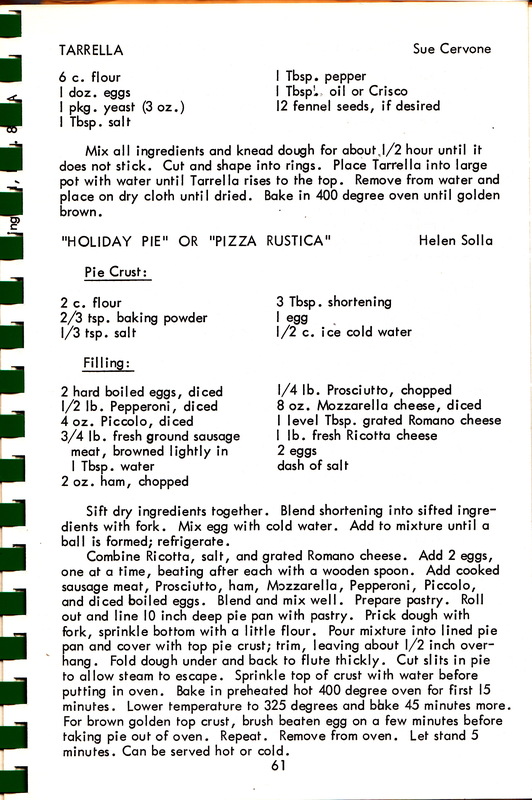 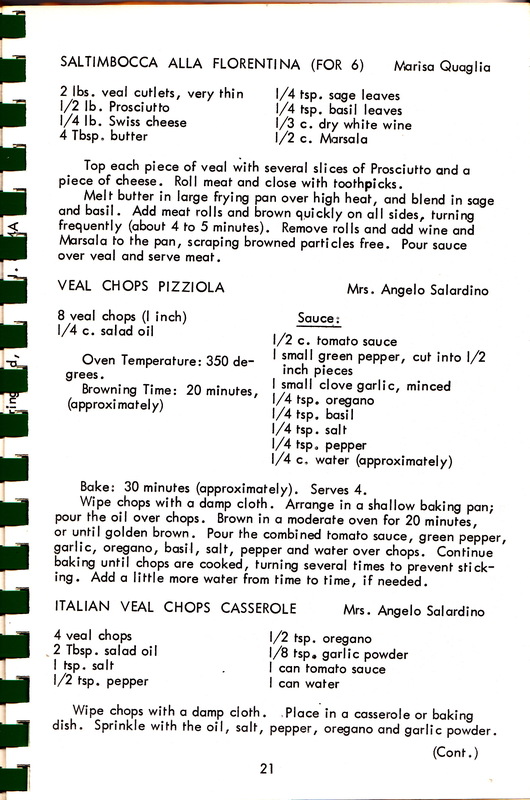 Also in the cookbook are recipes contributed by other family members including my grandmother, Livia Del Vecchio (“Lena”); my great-aunt, Florence Bagnano (“Aunt Flo”); my sister, Denise Gallaro (“Pooh”); my sister, Valerie Serra (at the time still Valerie Del Vecchio); my brother-in-law, Elio Serra; my sister-in-law, Lucille Del Vecchio; and my father’s cousin by marriage, Mildred Galella. 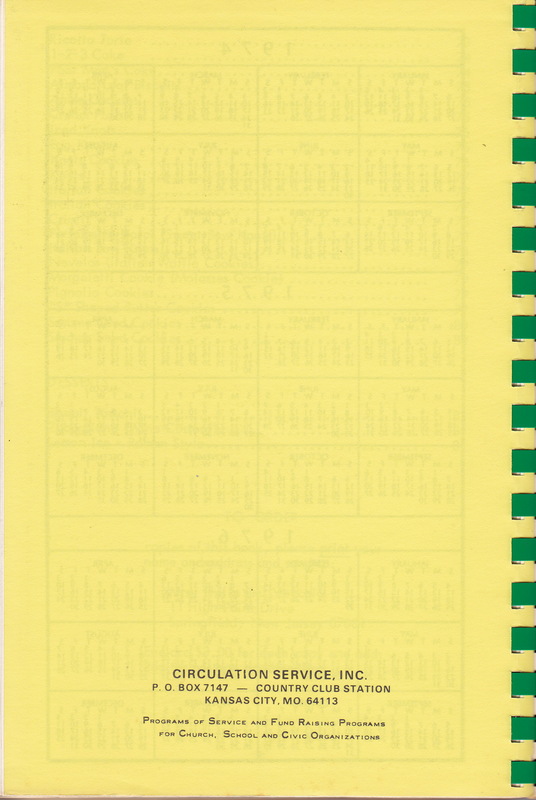 Click on any image to view an enlarged page and to print. 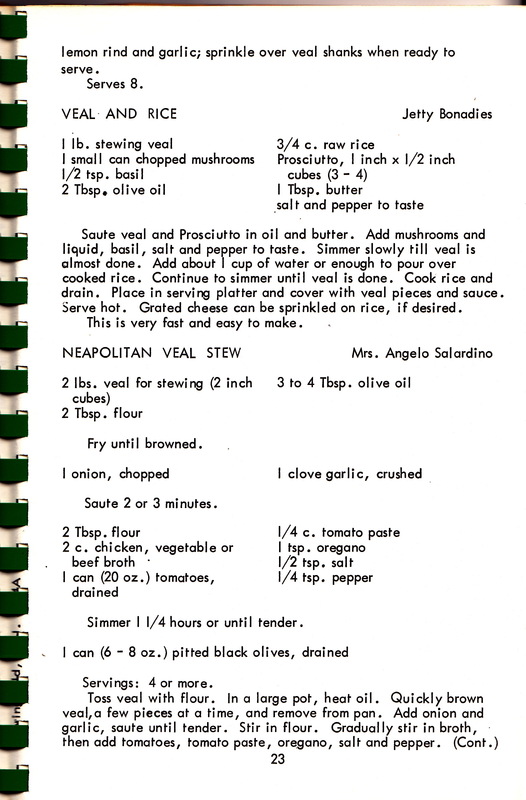 Click on that page to magnify on screen. 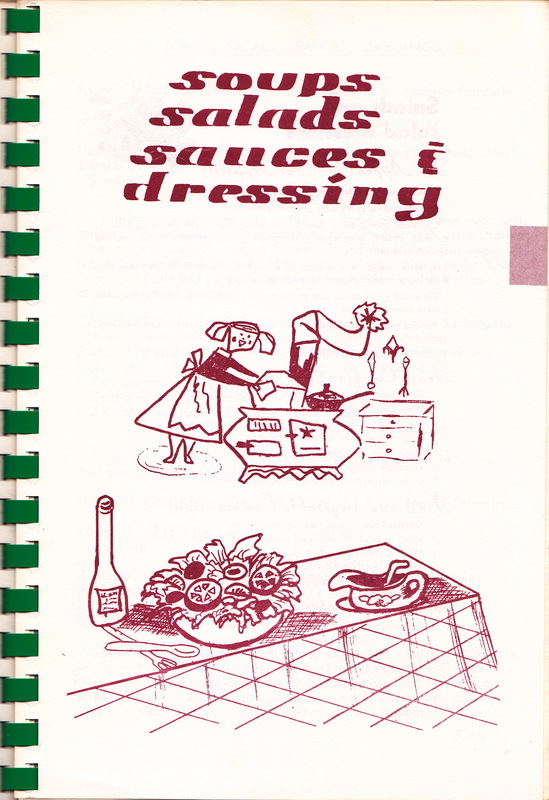 That’s the whole cookbook, Lili. 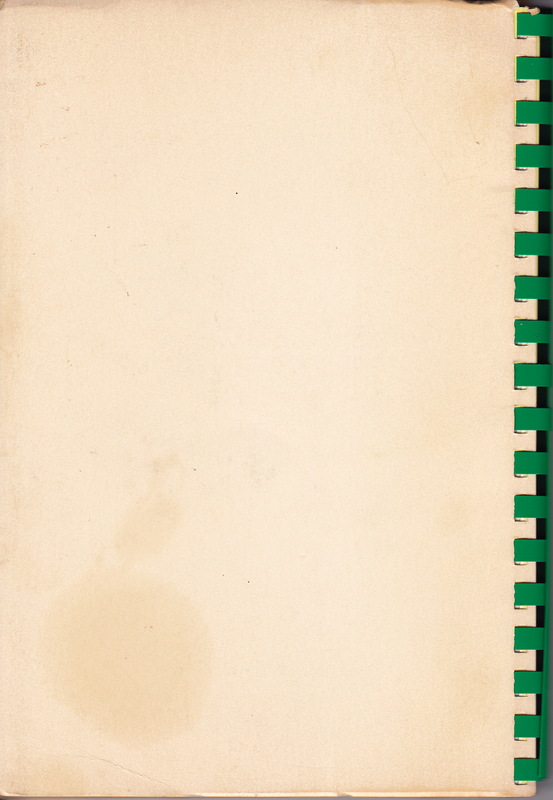 I have one original copy which I’ll keep safe for you and give to you one day. 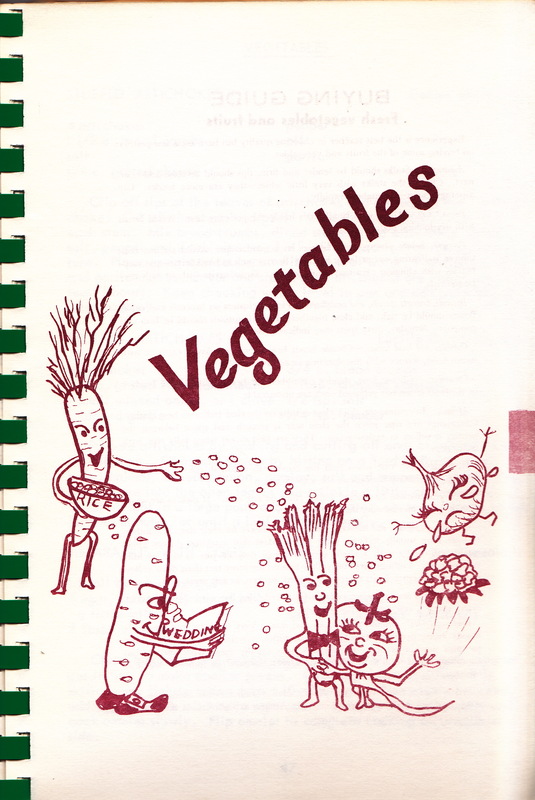 Hello i am Helen Sollas grandson david and have a few copies of this book as well as pictures you may be interested in. 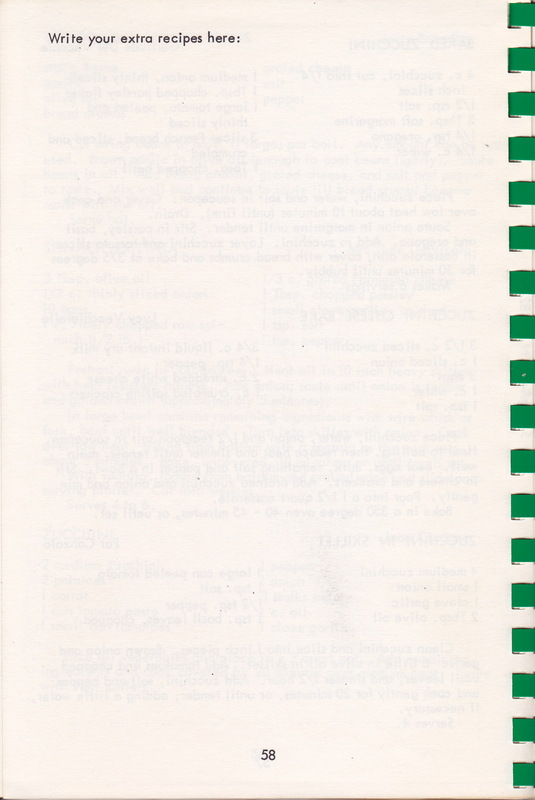 Let me know and ill put together what i have.